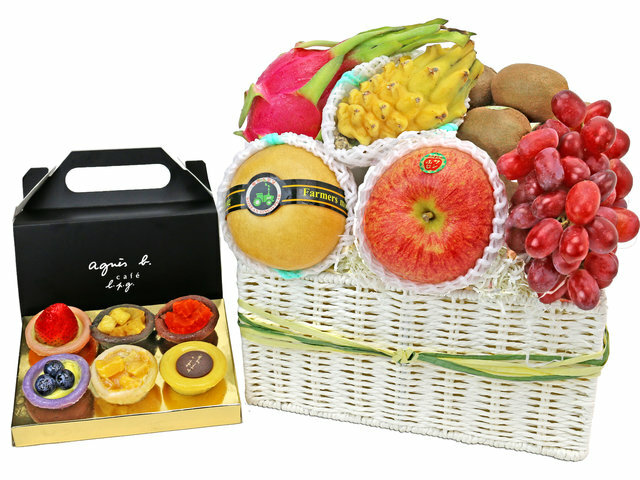 ATV 6 O'Clock news reported on festival corporate fruit baskets sales in Hong Kong, on location at Give Gift Boutique, a leading fruit basket supplier in HK. 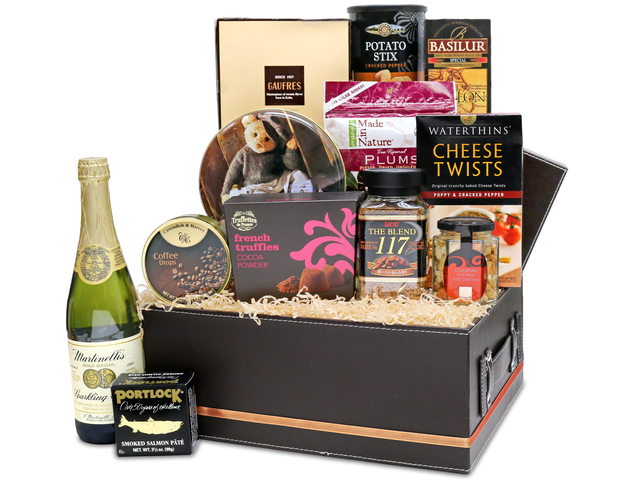 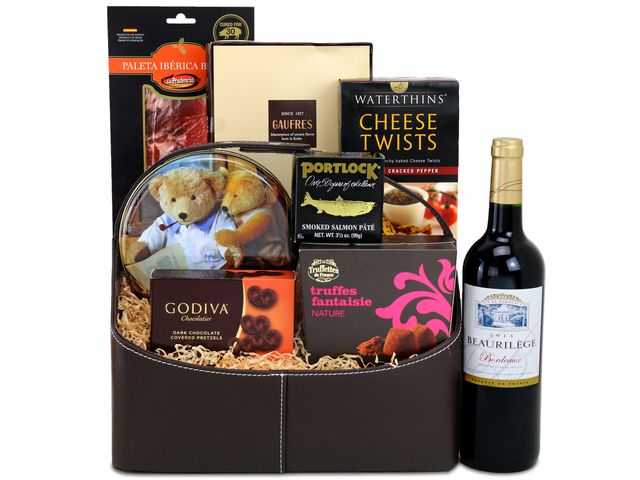 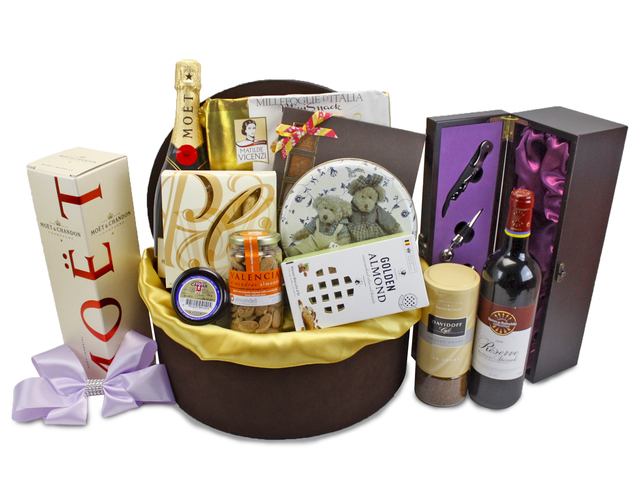 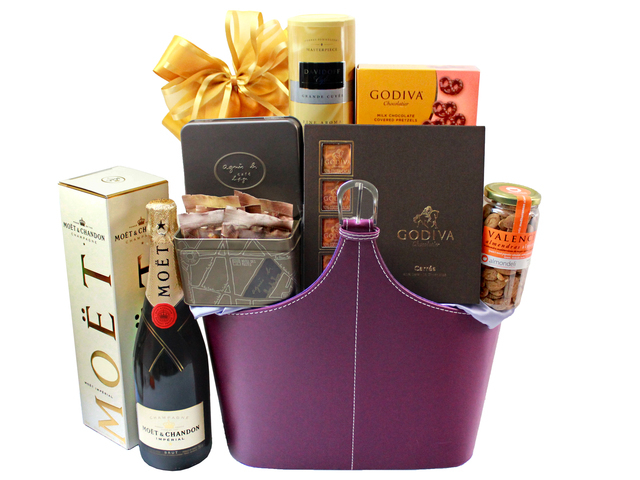 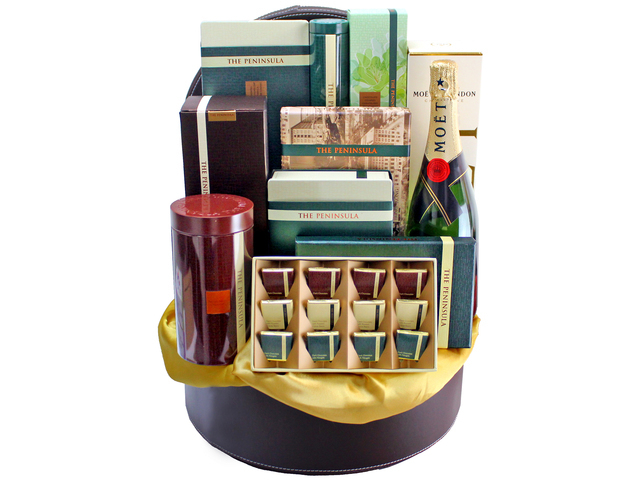 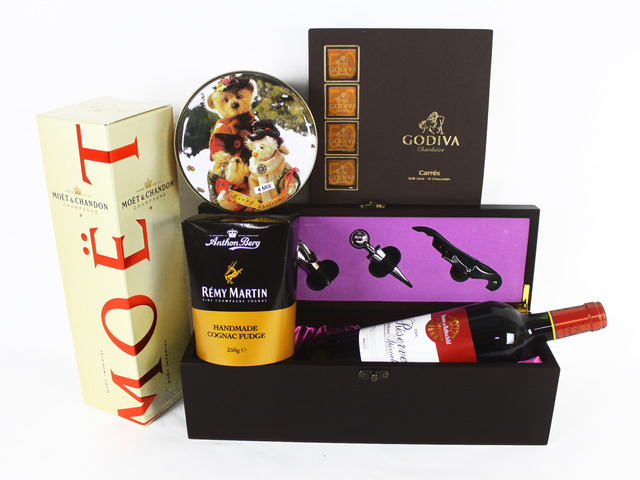 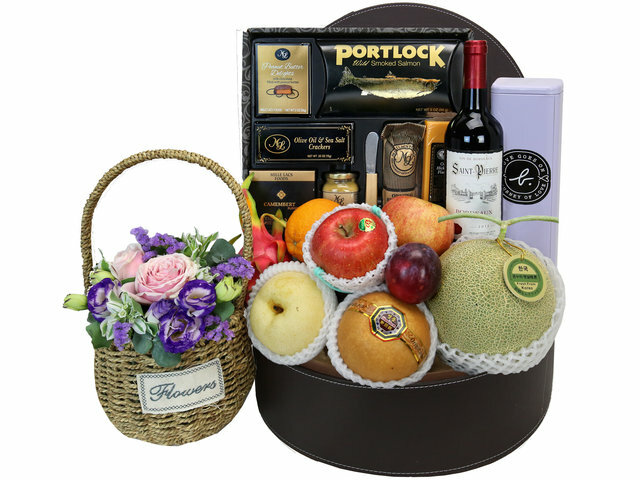 - HK Give Gift Boutique sends hundreds to over a thousand fruit baskets each month, serving Hong Kong and International residential and corporate clients alike, with very positive feedback. 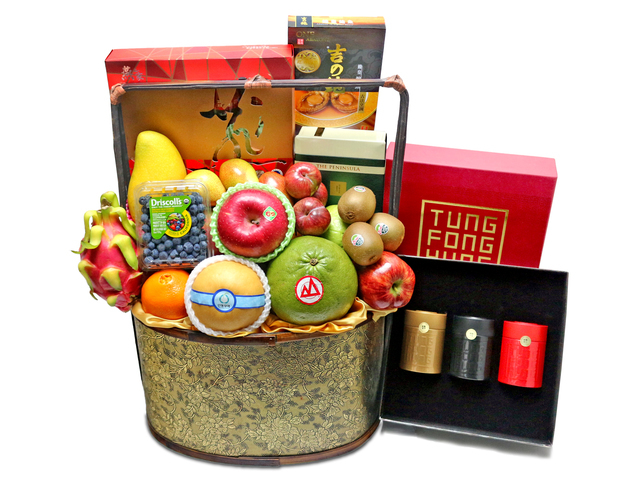 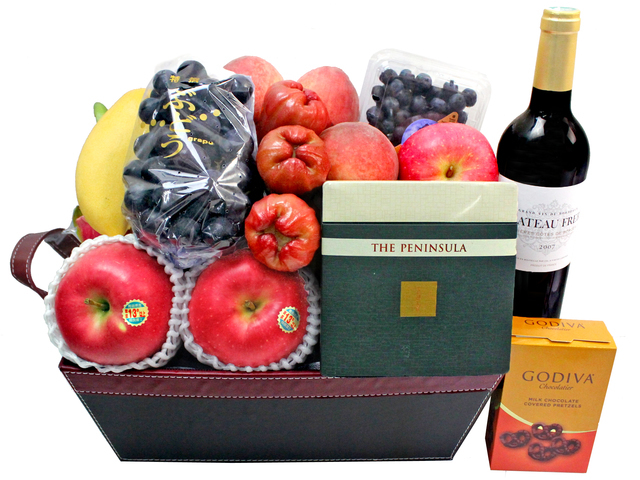 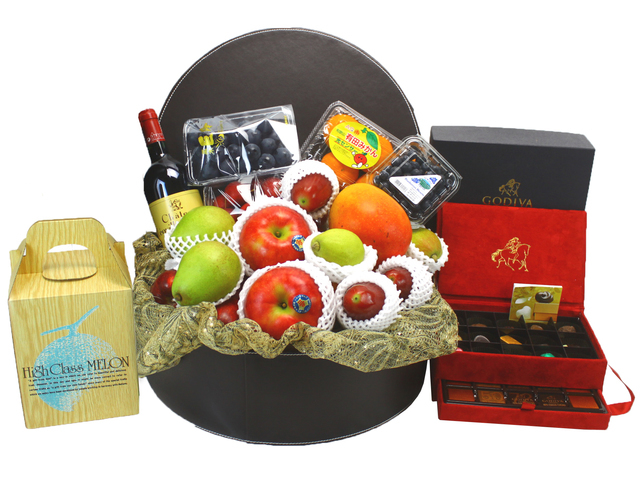 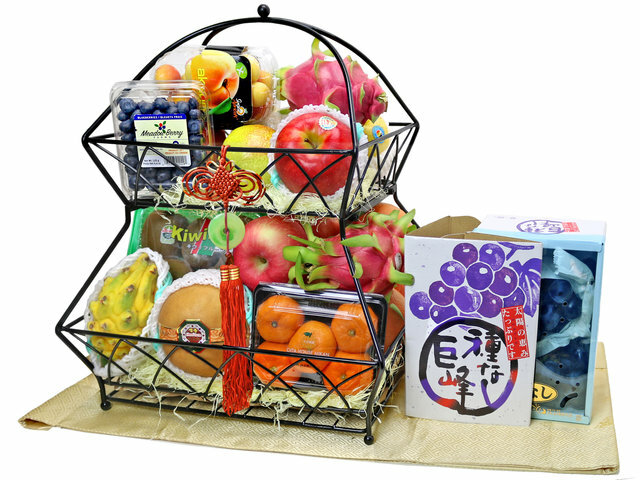 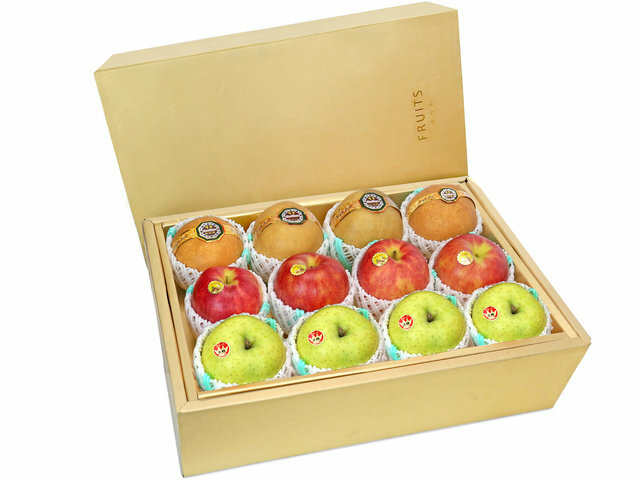 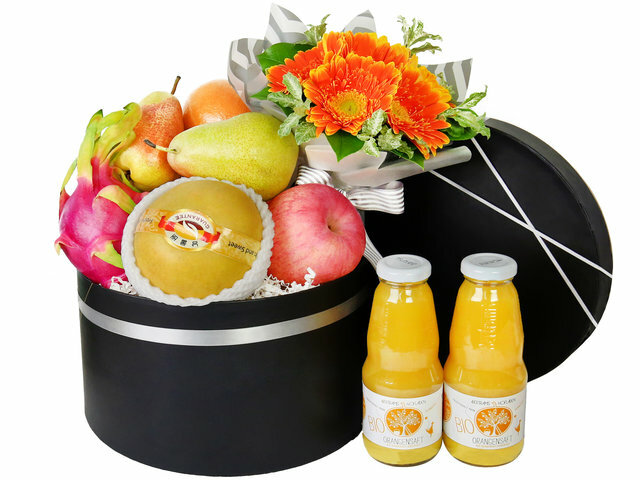 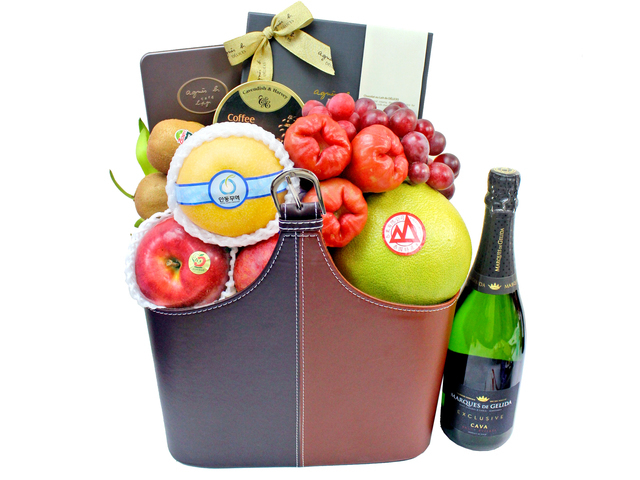 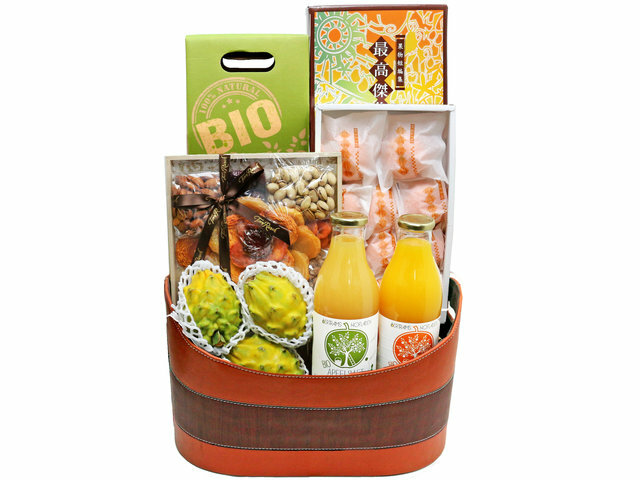 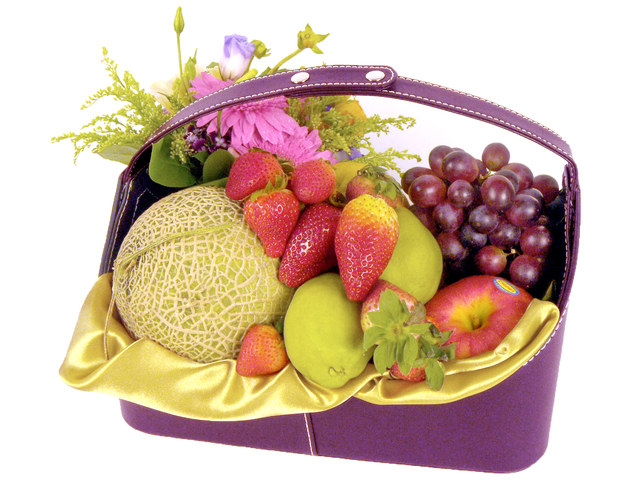 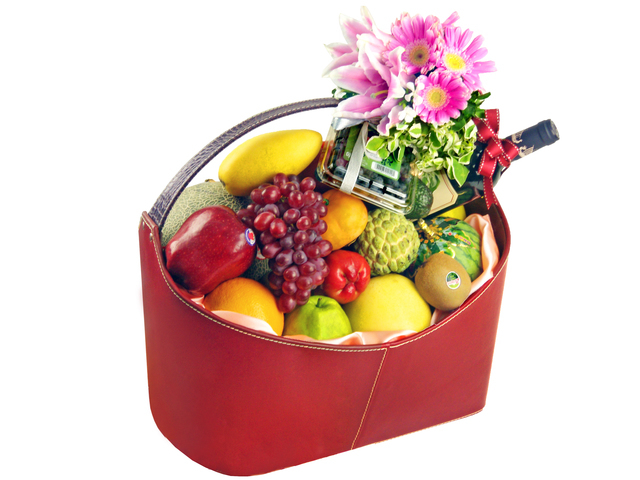 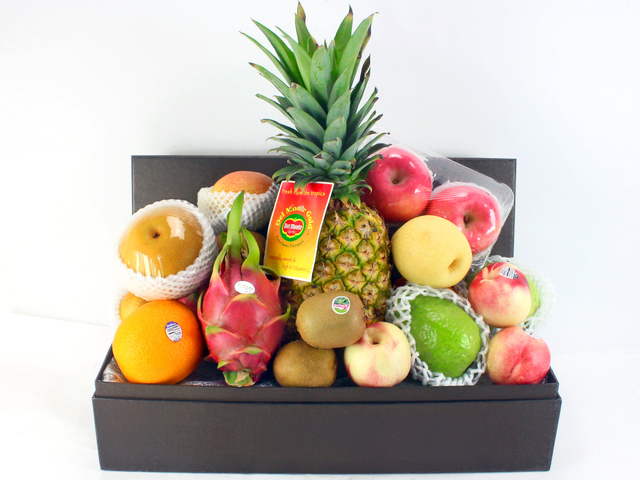 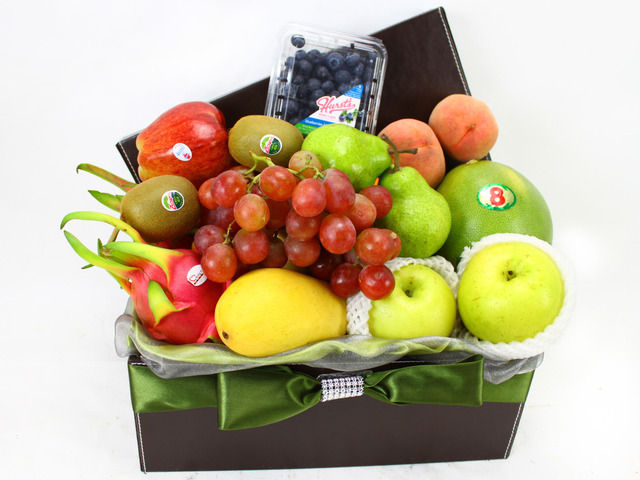 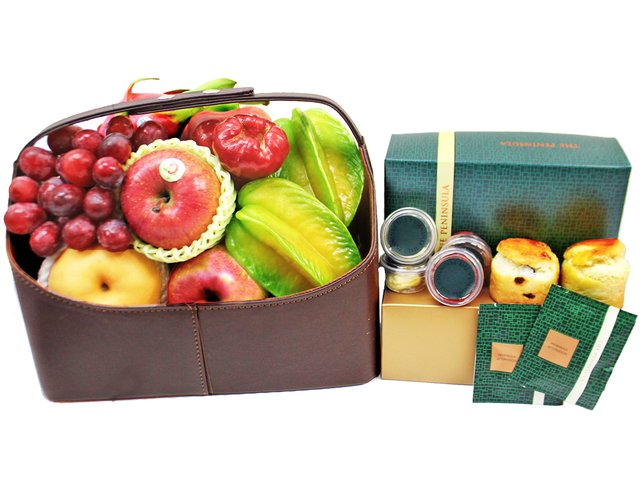 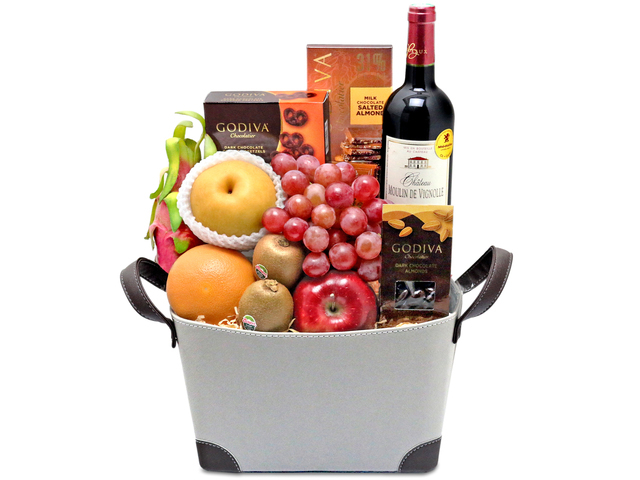 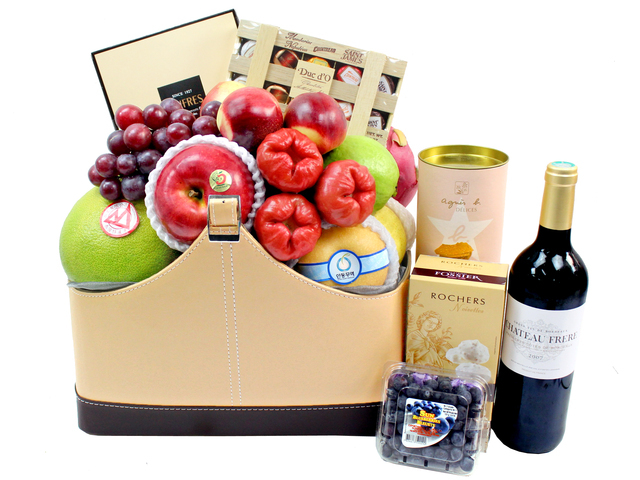 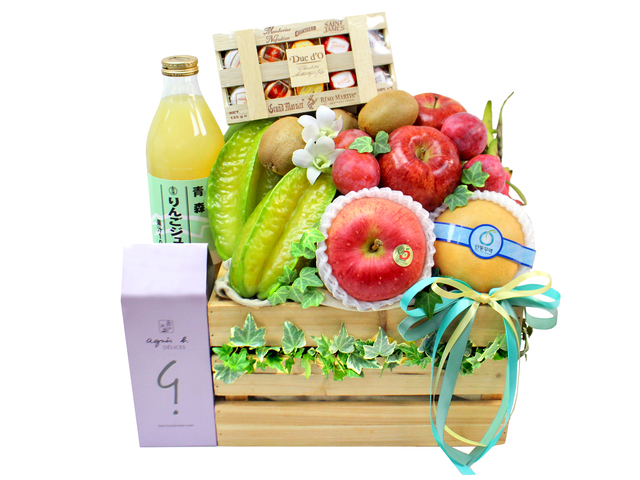 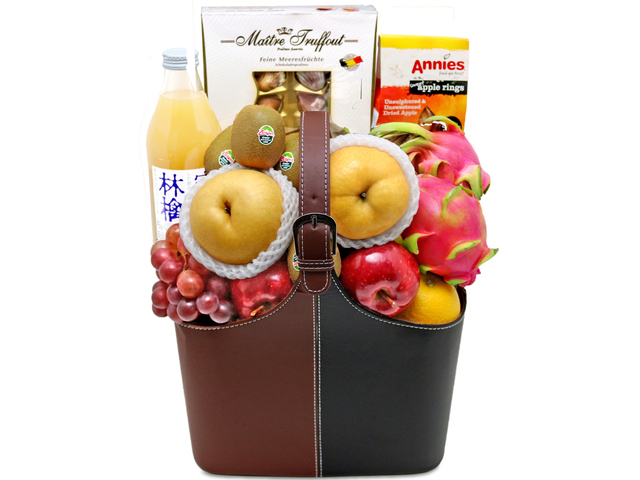 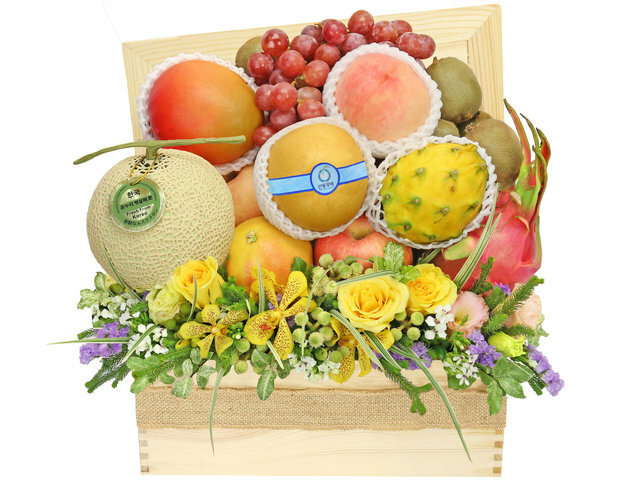 GiveGift is well recognized in Hong Kong for freshness and stylish arrangement for our fruit gift hampers. 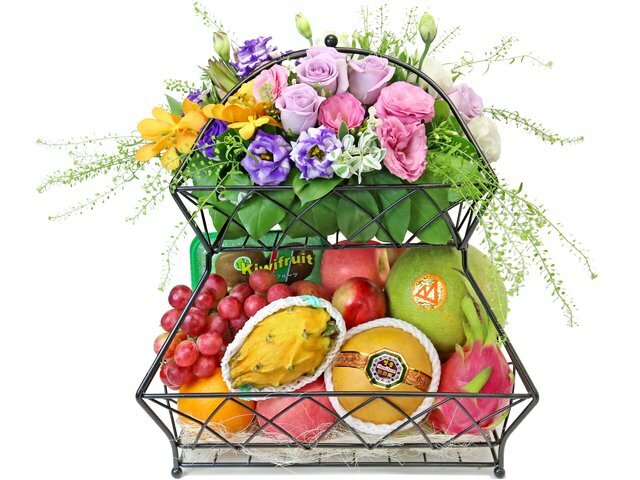 We make fresh fruit purchases twice daily, choosing the freshest fruits at the moment, and only purchase just the quantity for placed orders, and not more. 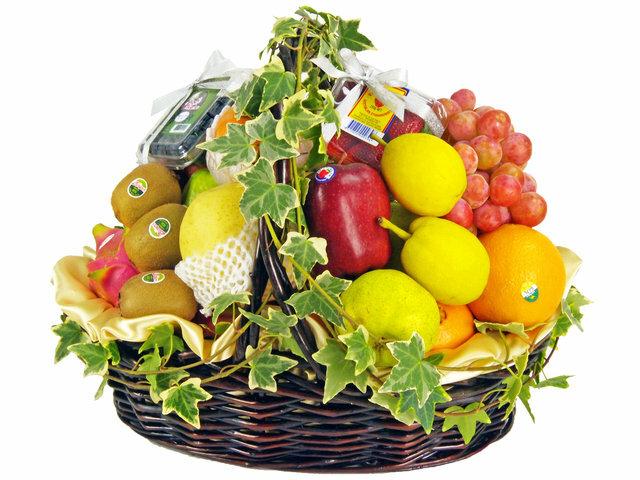 That is why fruits in our fruit gift baskets are always fresh, because we do not use left overs, or second batches. 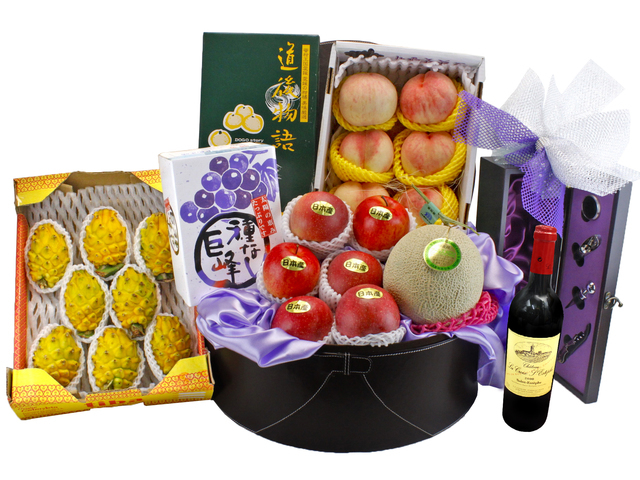 Givegift is neighbor to a few fruit markets, including the all-famous Yao Ma Tei fruit market. 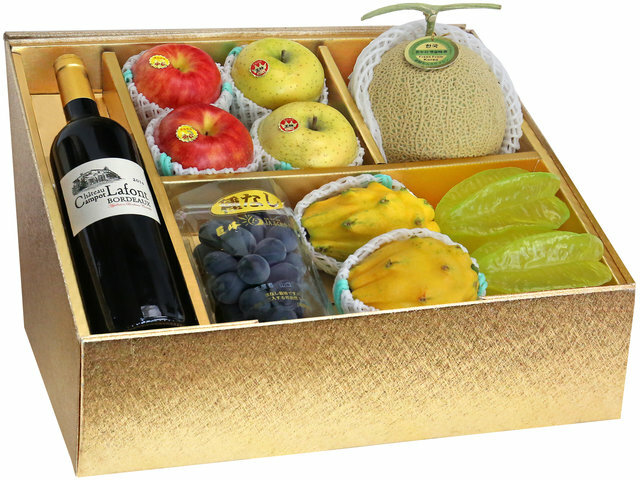 We have excellent liasons with top grade hk fruit vendors, allowing us to hand-pick each fruit for our fruit basket, instead of being given boxes or batches of mixed quality fruits. 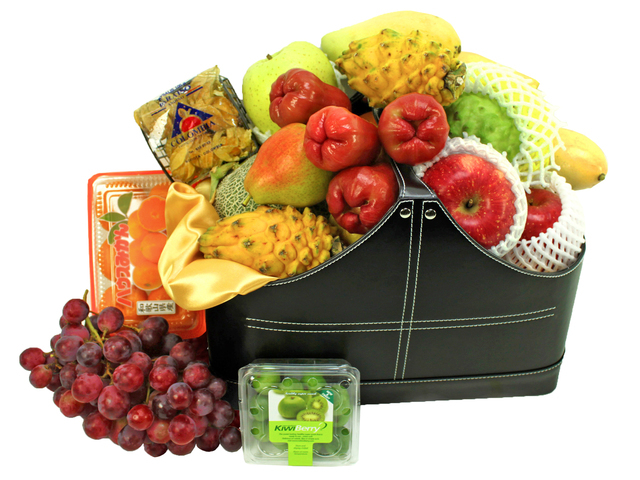 The price is as a result higher, but it guarantees top freshness and quality for our fruit hampers. 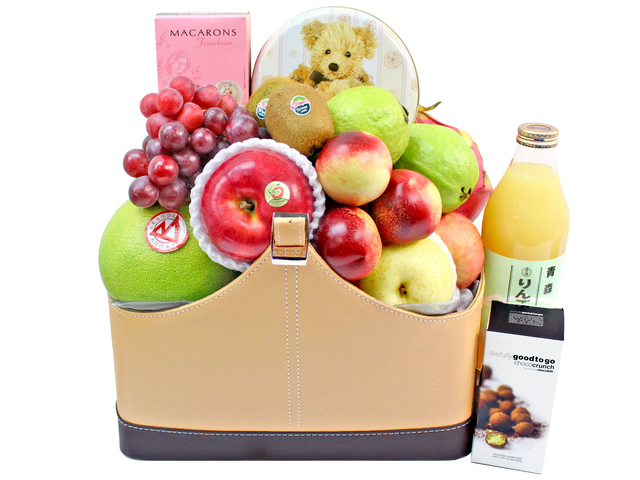 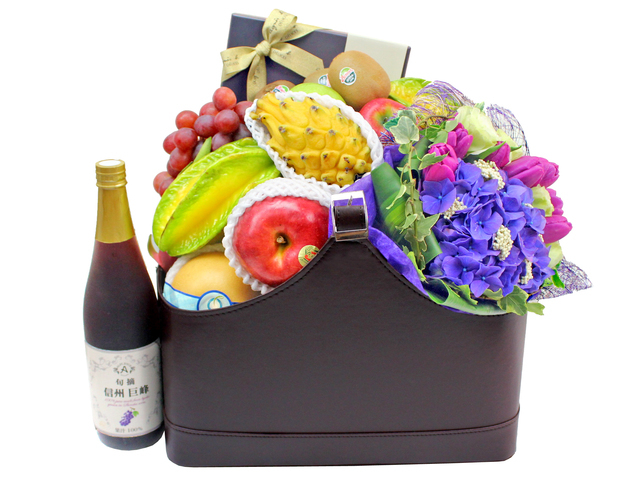 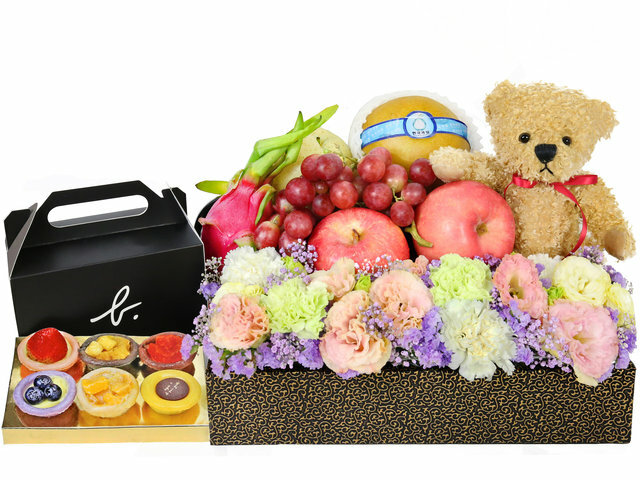 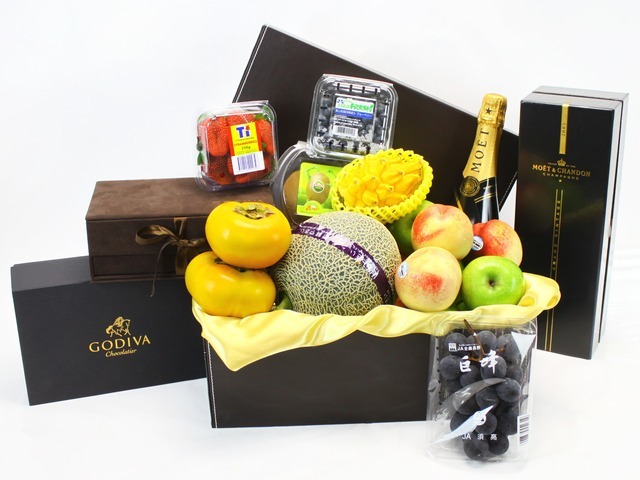 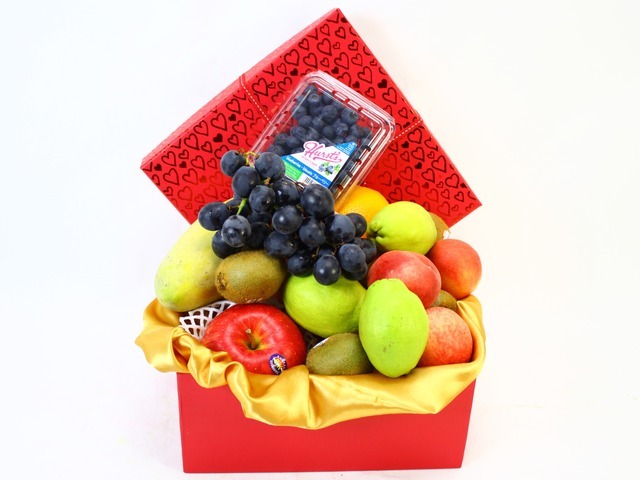 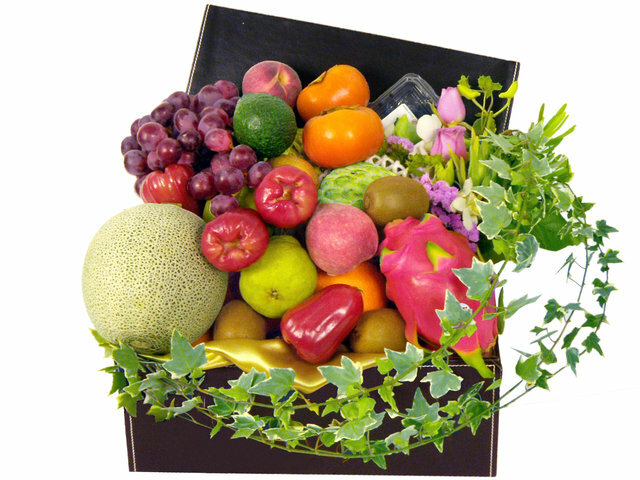 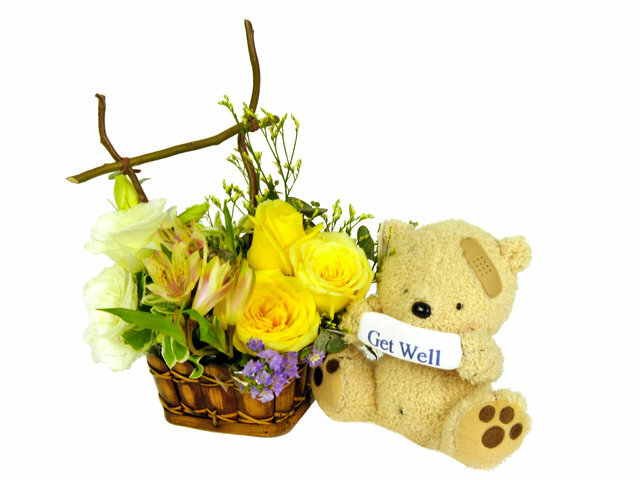 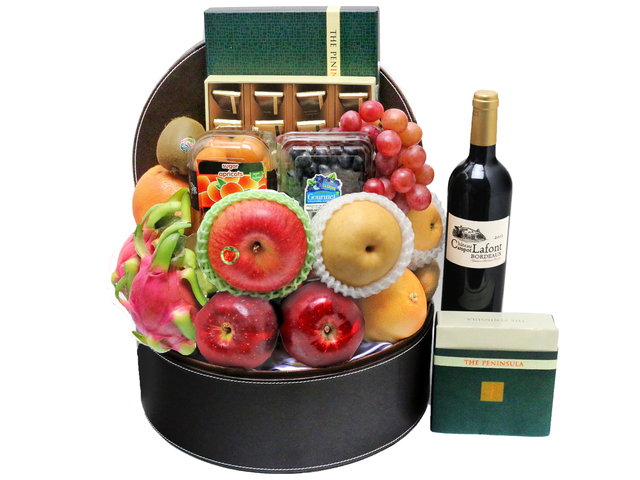 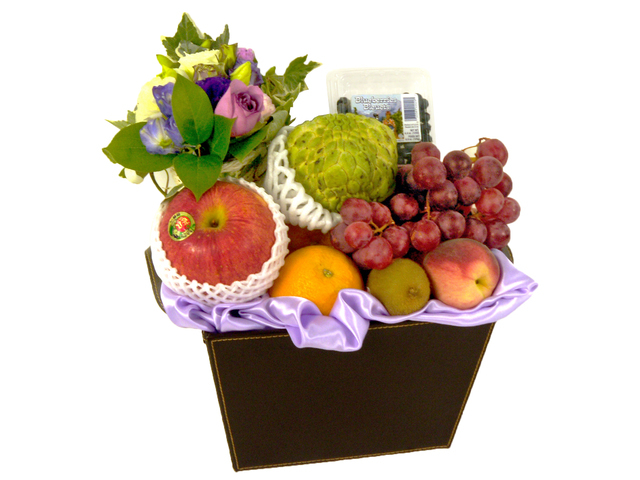 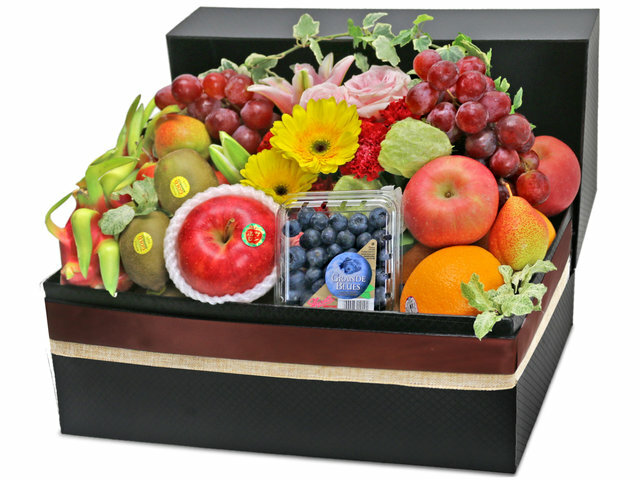 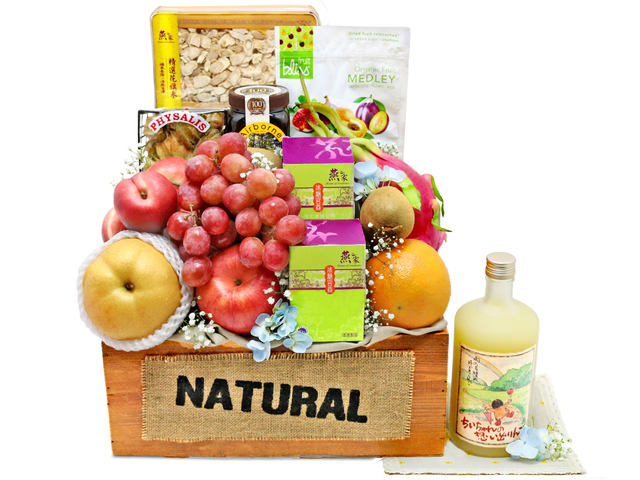 - When clients order fruit hampers through GiveGift for delivery in Hong Kong, they have placed their hk fruit basket orders in the hands of a professional florist team. 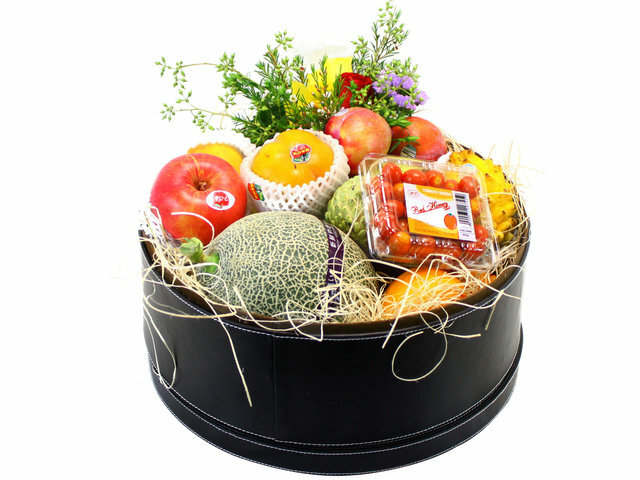 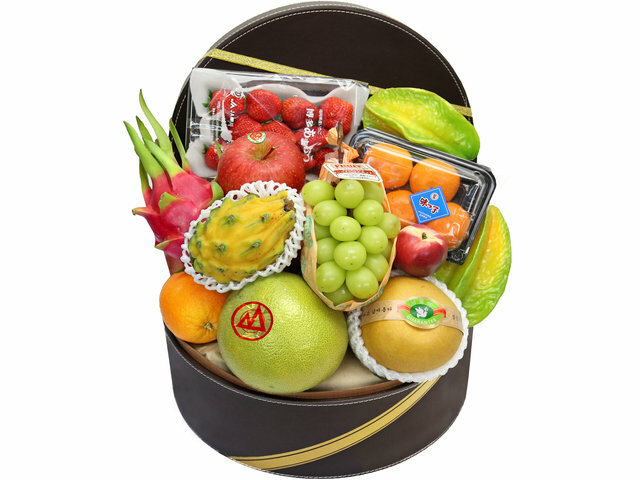 All Hong Kong delivered fruit baskets are produced by our florists, who care about the content and freshness of the fruit hampers, as much as the presentation and packaging. 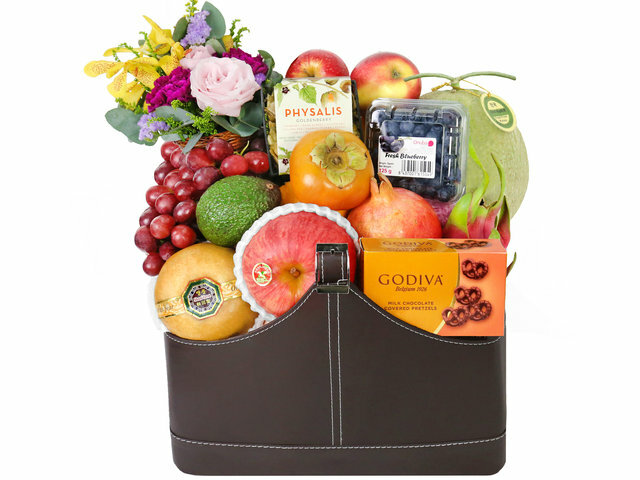 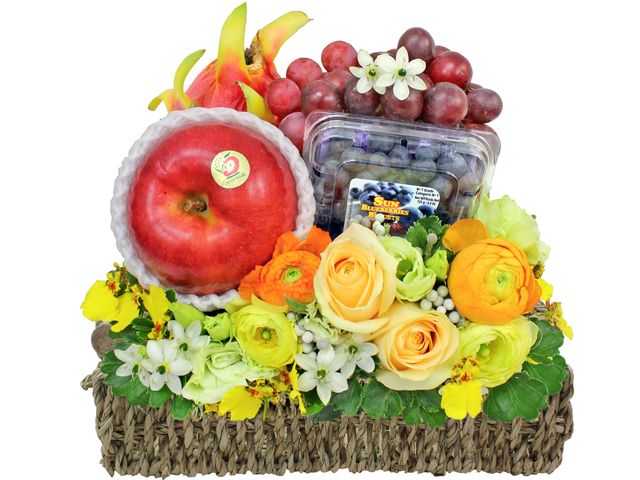 Before the florist place each fruit into the fruit gift hamper, a quick 3 sides inspection is performed, to make sure the fruit is fresh and there is no surface damage. 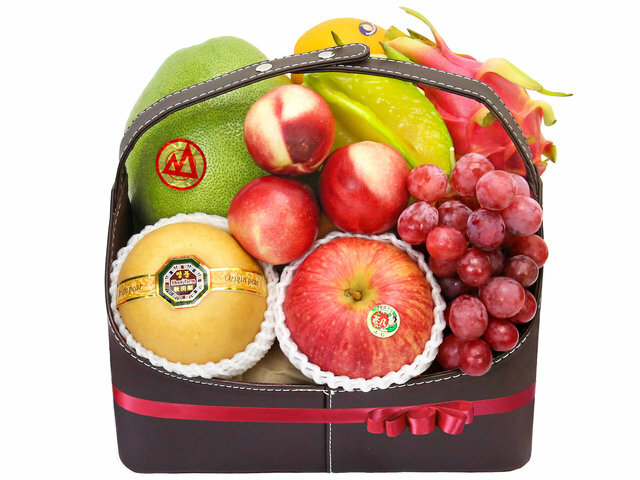 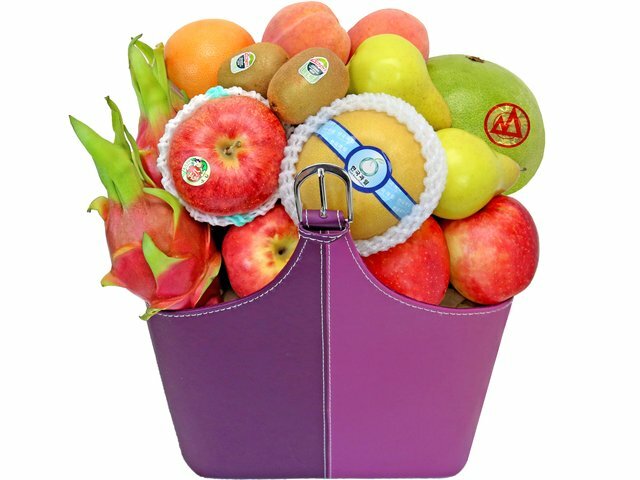 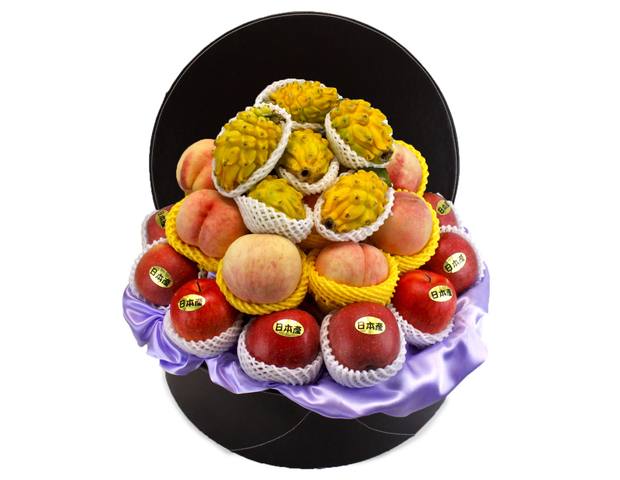 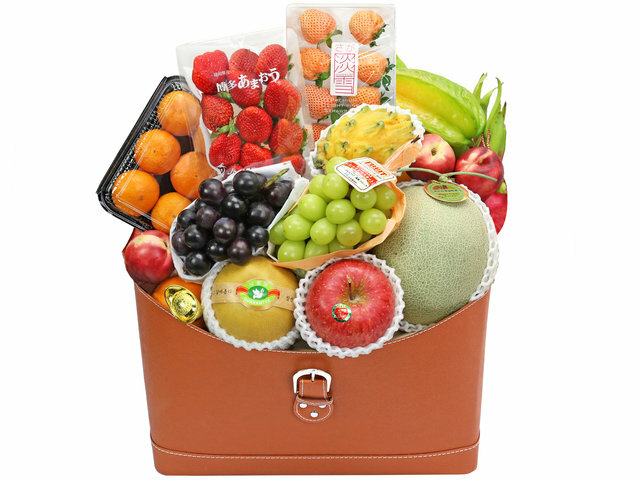 We place a lot of attention into designing our fruit basket collection, with one of the largest fruits in leather hampers collection in Hong Kong. 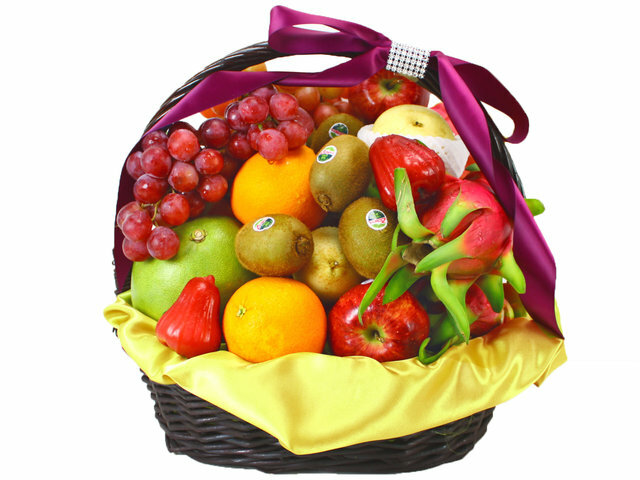 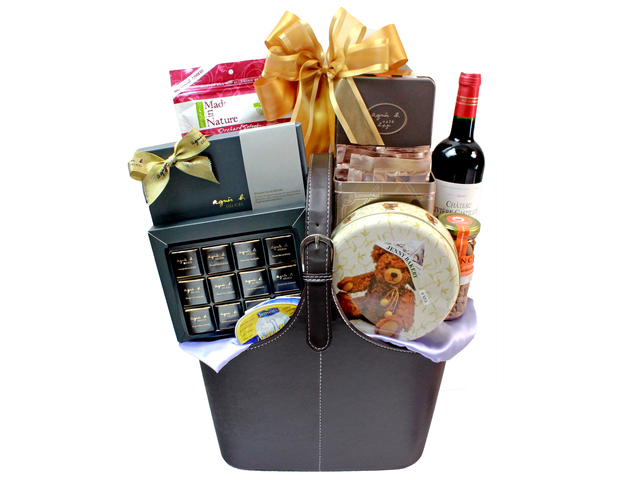 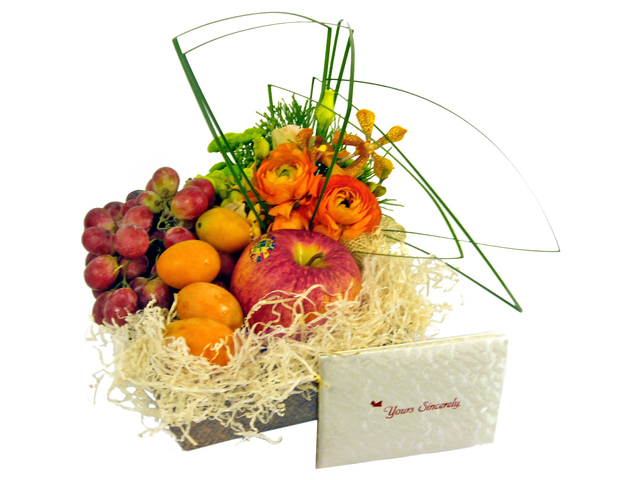 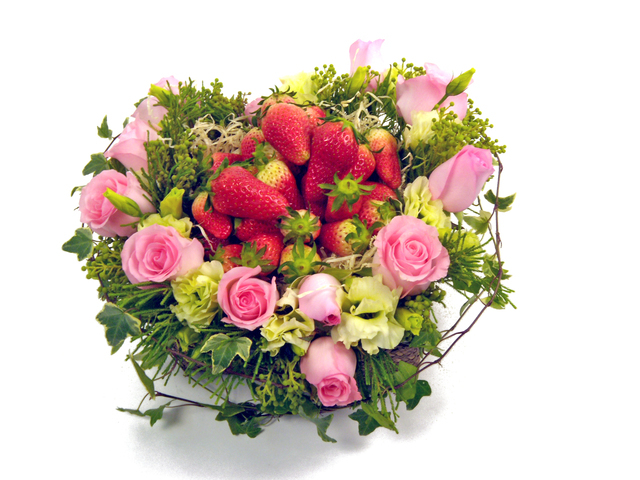 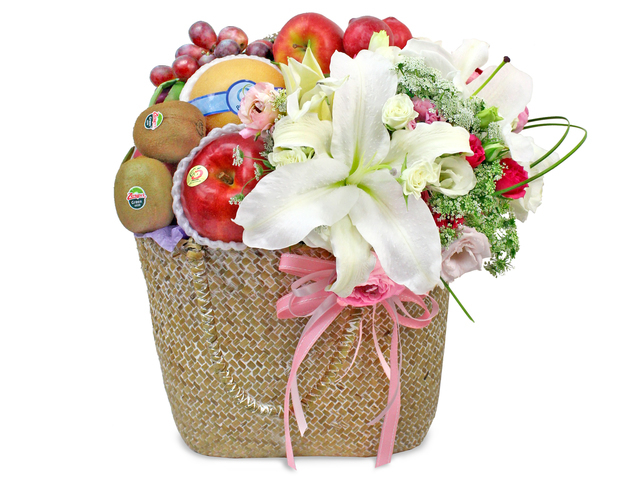 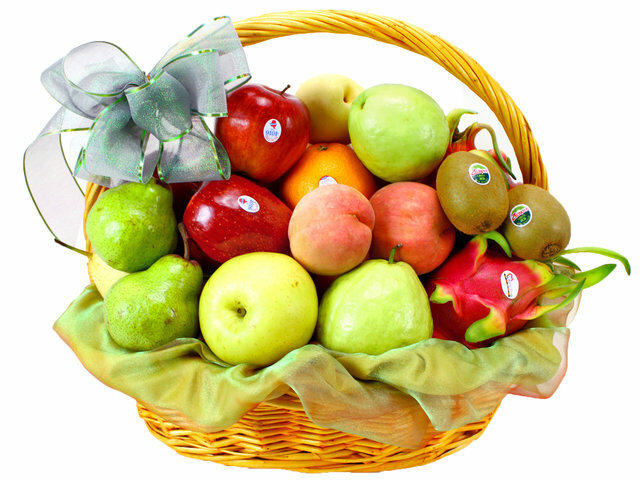 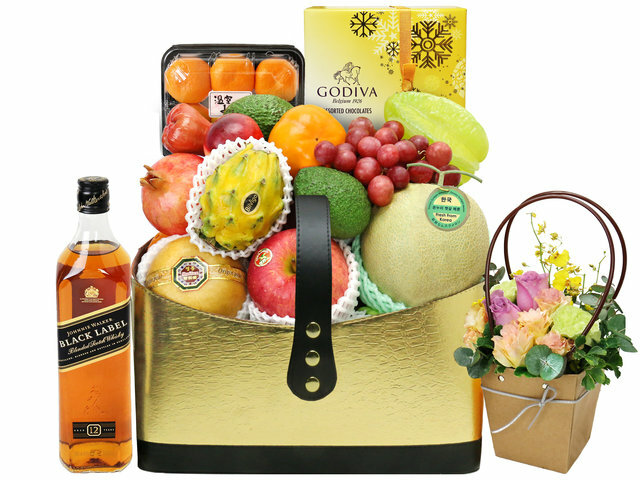 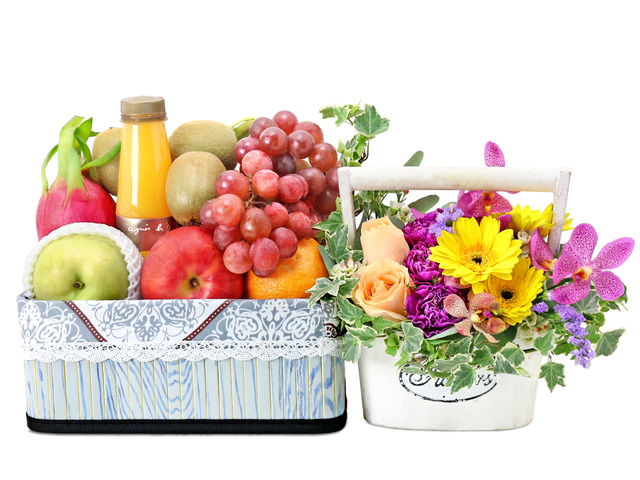 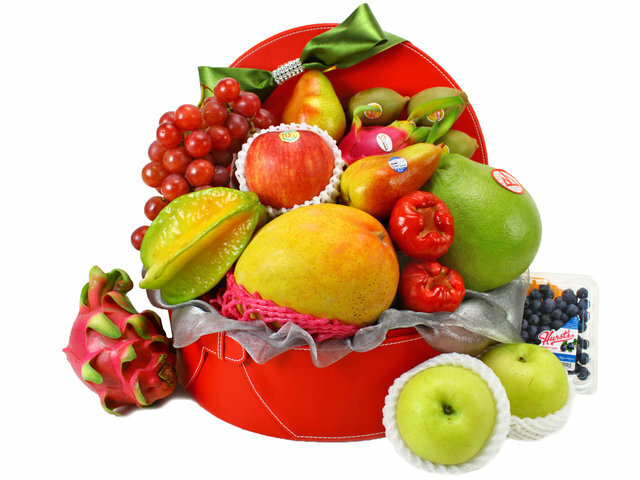 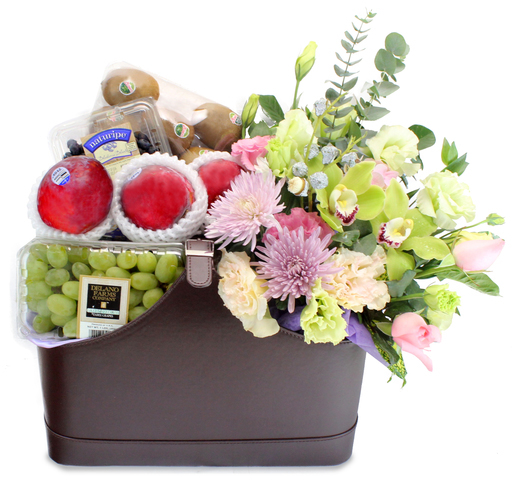 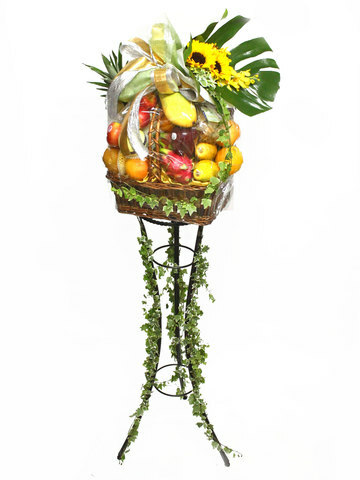 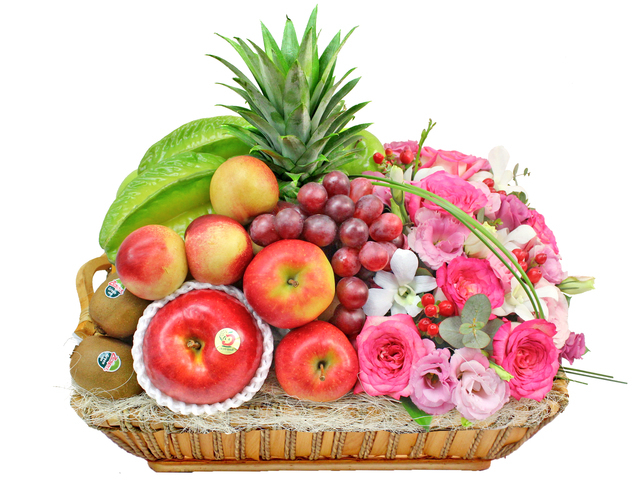 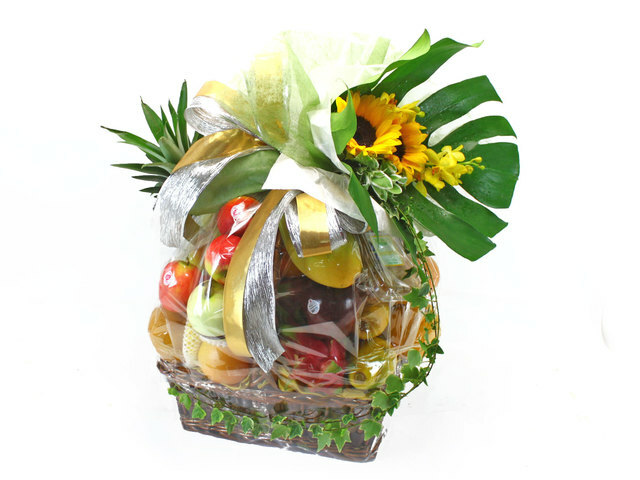 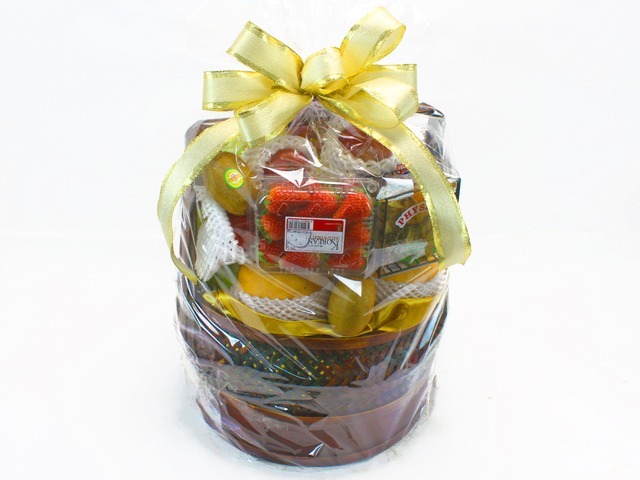 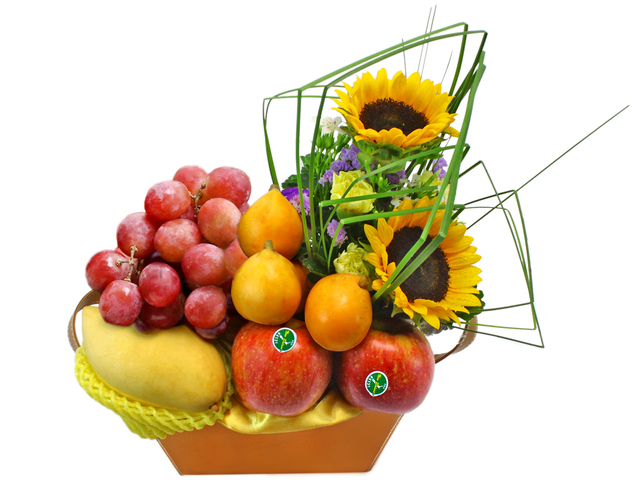 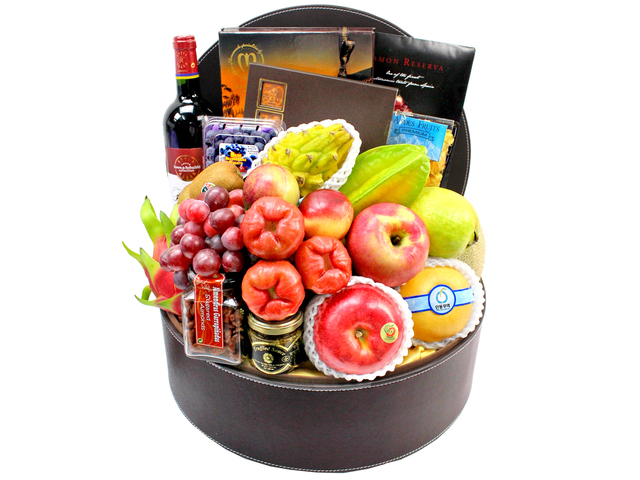 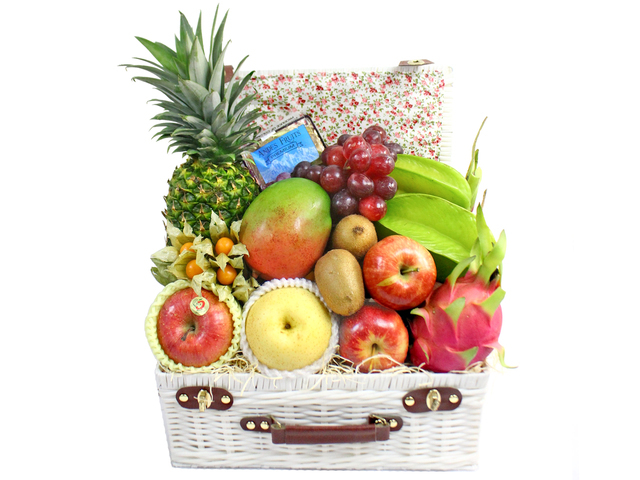 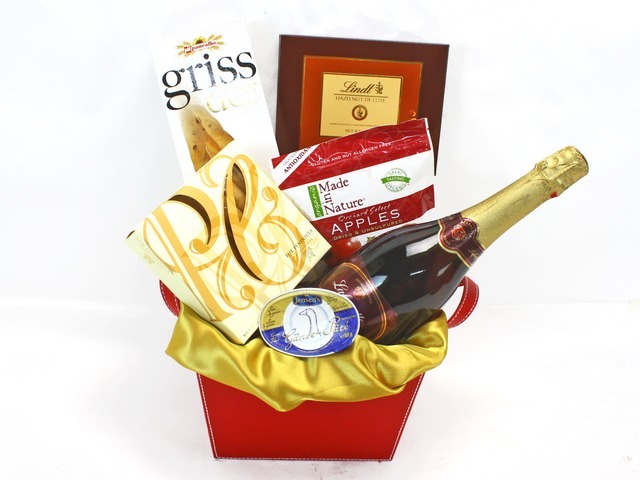 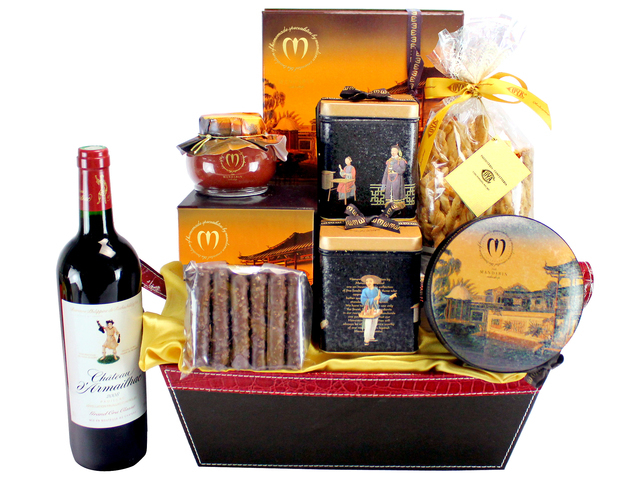 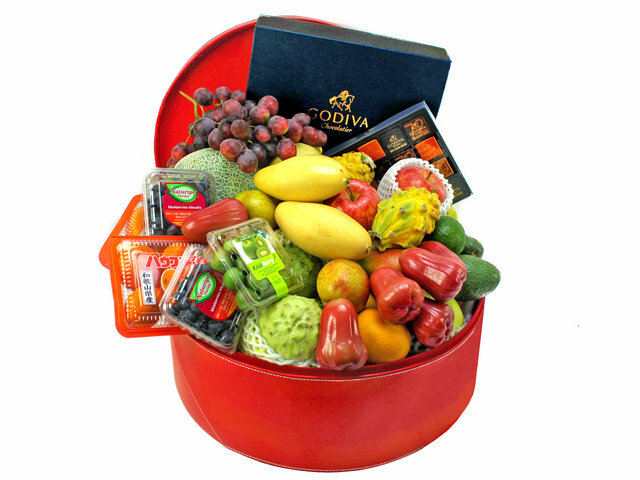 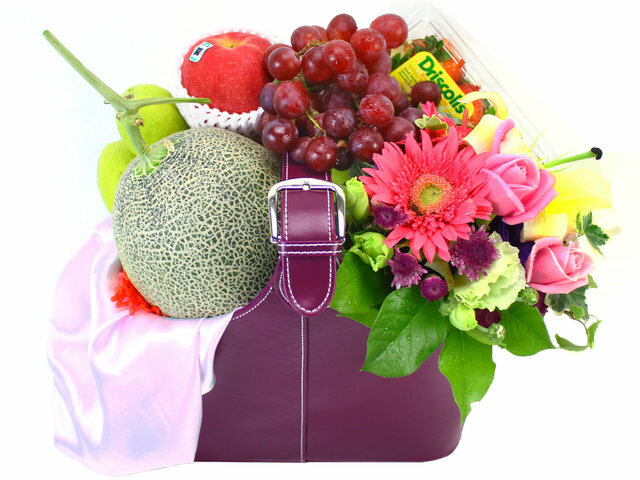 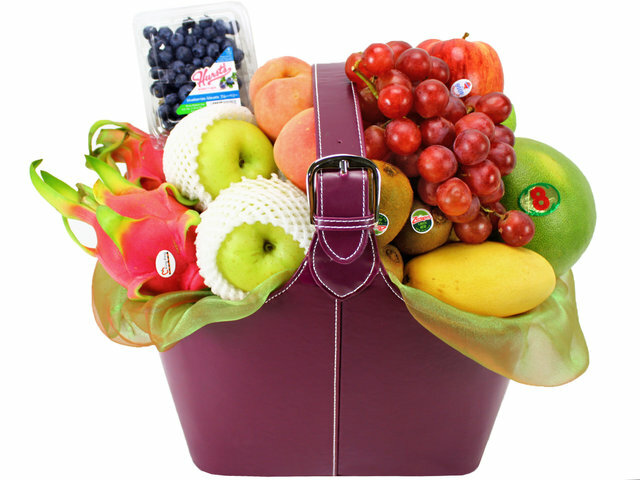 Many of the fruit baskets have floral decoration, to make the gift fruit hamper more elegant and presentable. 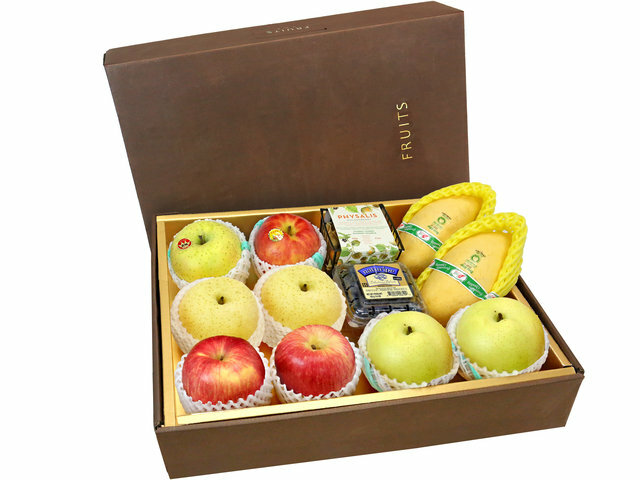 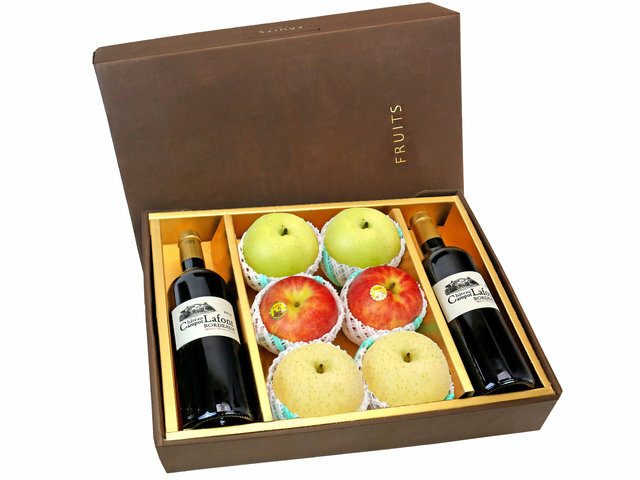 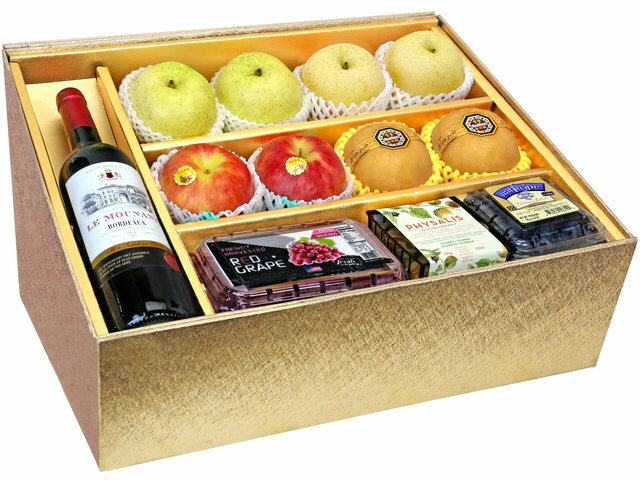 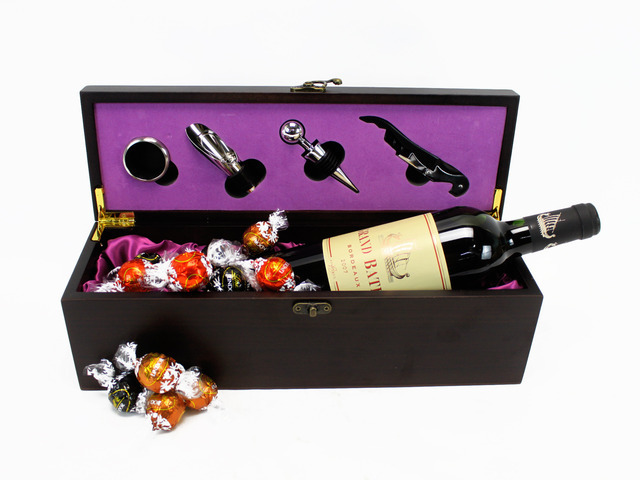 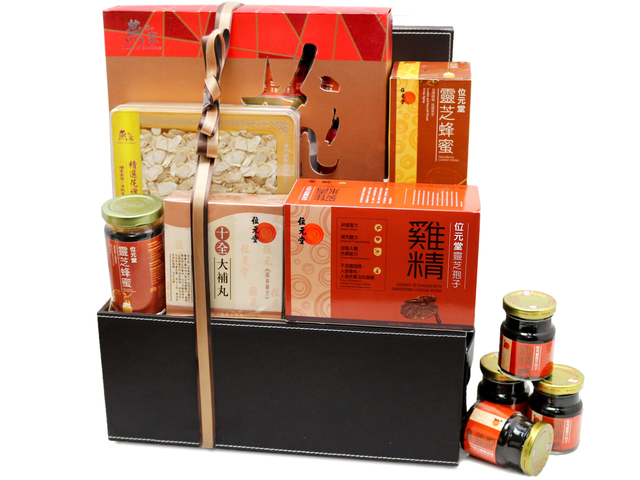 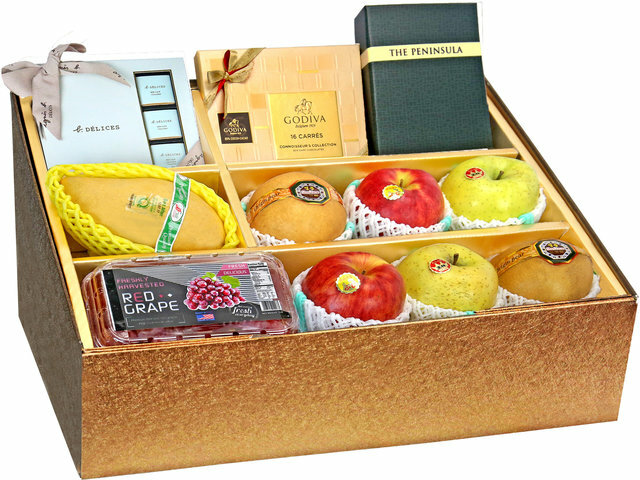 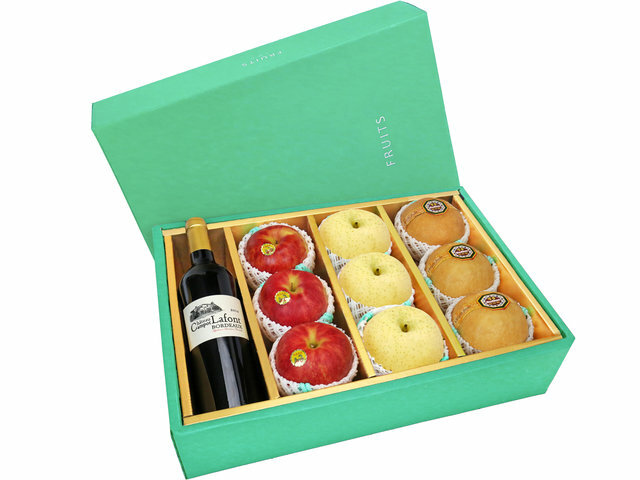 - The HK GiveGift in-house crew deliver quality corporate and personal fruit gift hampers to all commercial, office, industrial, residential districts, hospital and clinics in Hong Kong. 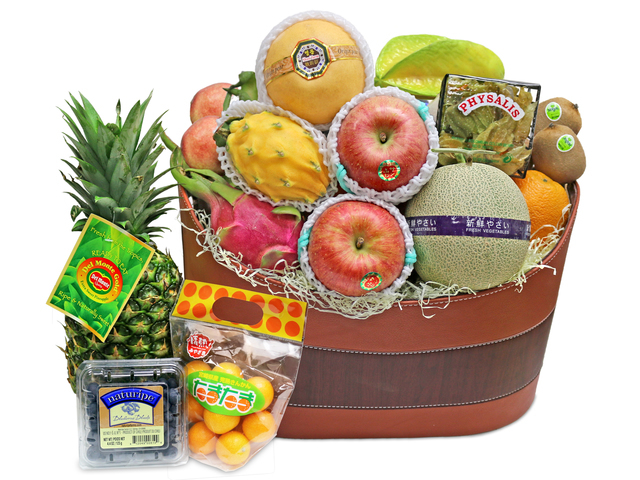 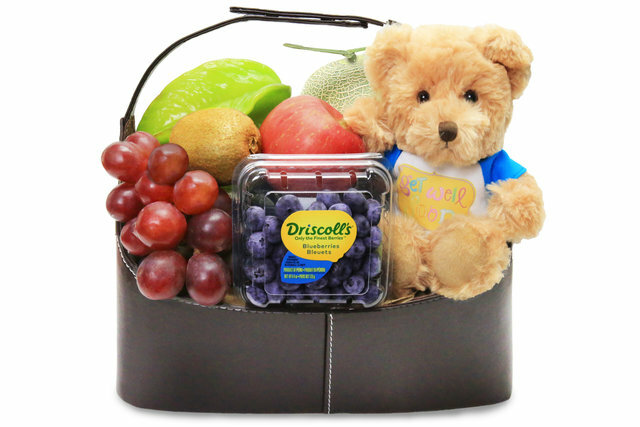 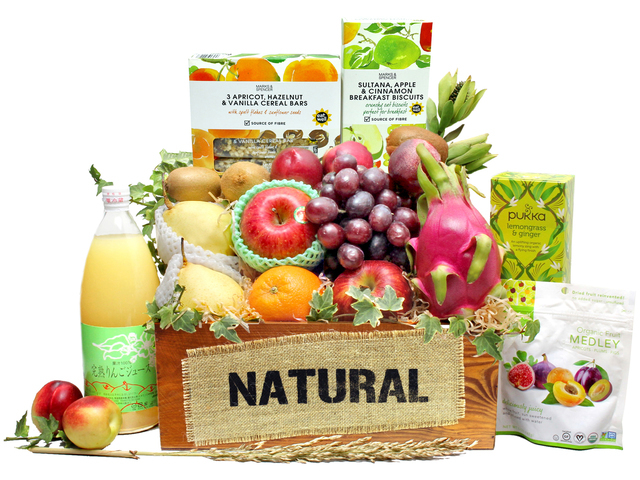 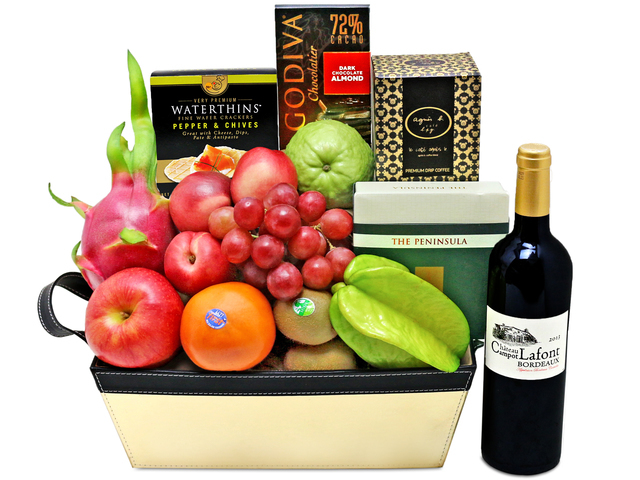 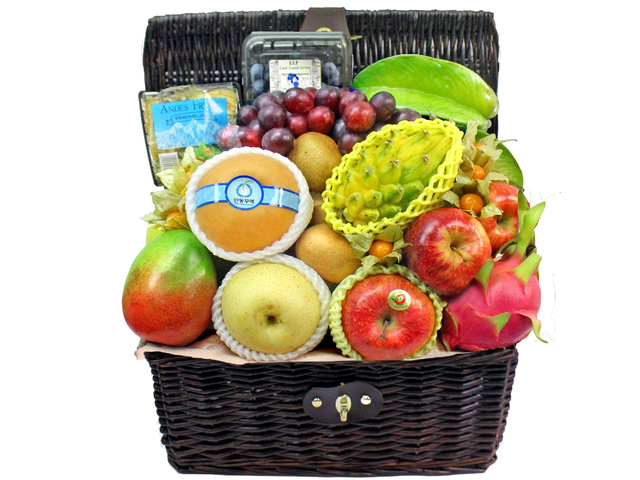 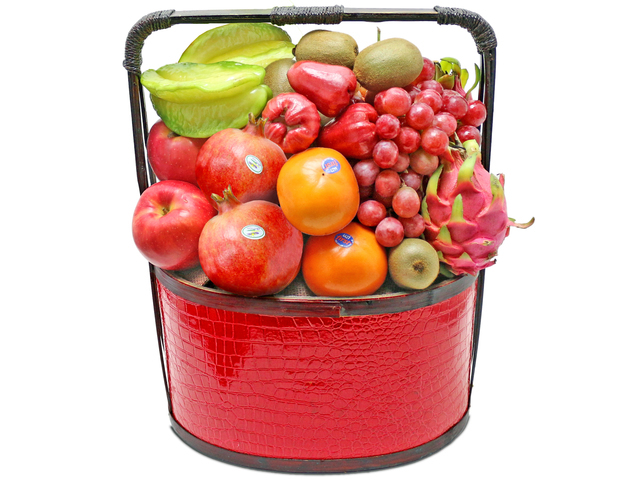 Quality fruit baskets should focus on freshness, production and the fruit basket delivery. 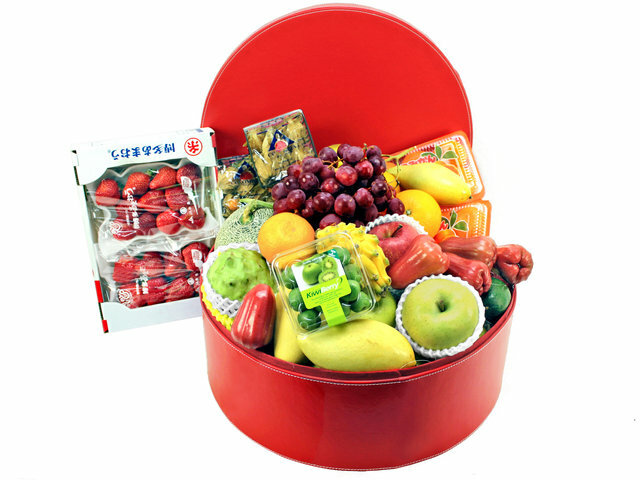 Improper transportation can cause direct damage and excessive shaking, brushing the fruit affecting freshness, the structural appearance is affected too. 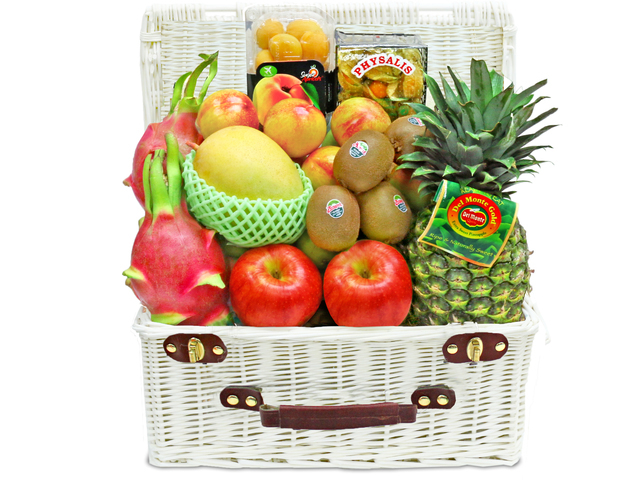 Our fresh fruit baskets are hand delivered point-to-point, without the use of trolley, and not out-sourced. 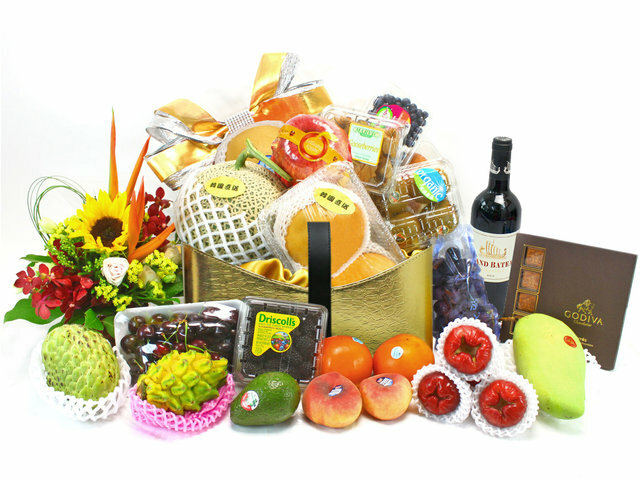 Our delivery crew is trained on how to properly handle and protect the hk fruit basket, and tidy both fruit and flower gift basket content up right before handing over to the fruit gift hamper recepient. 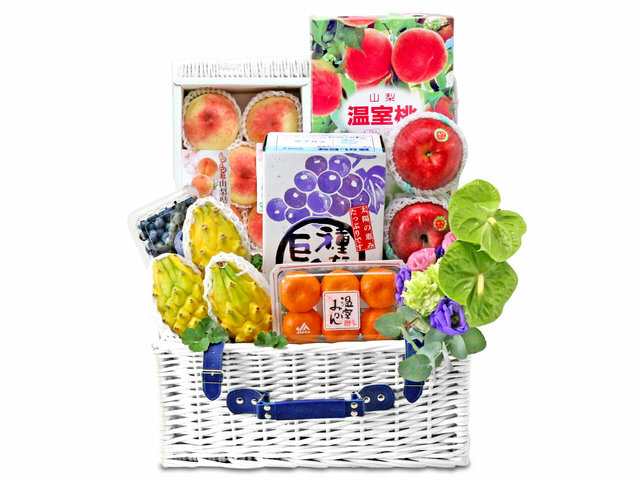 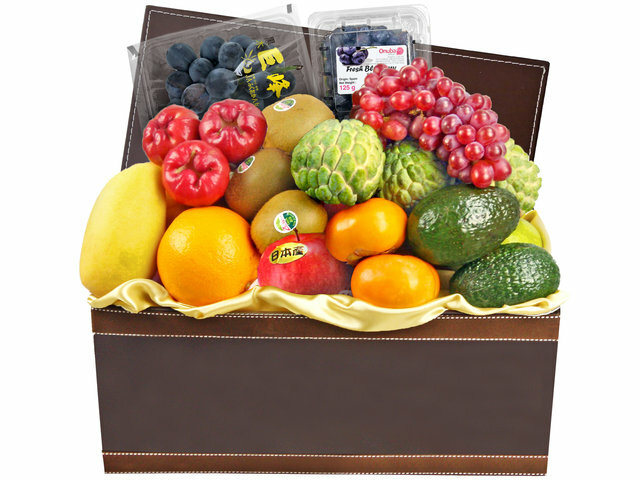 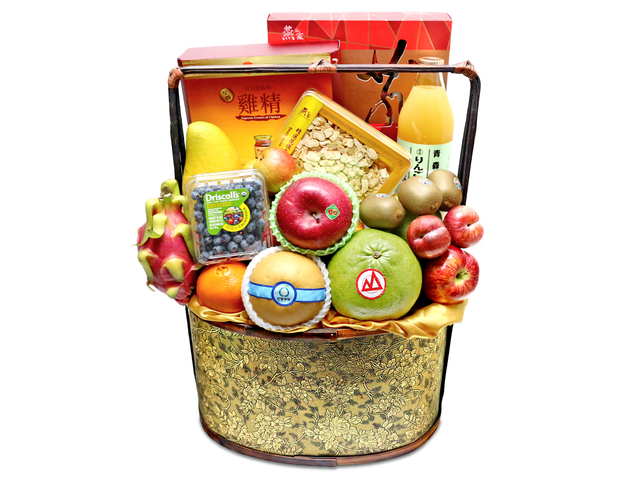 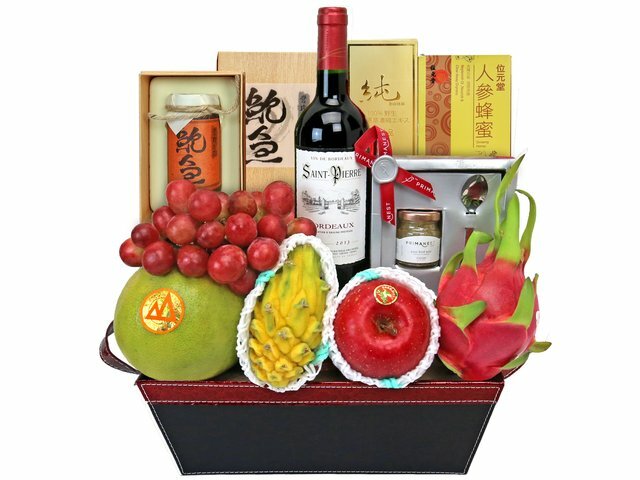 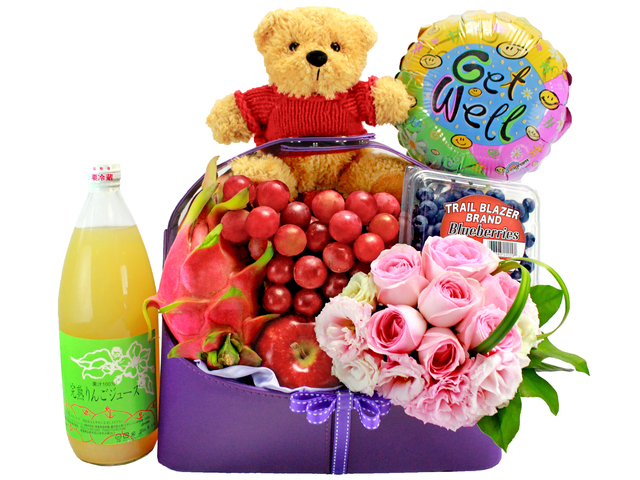 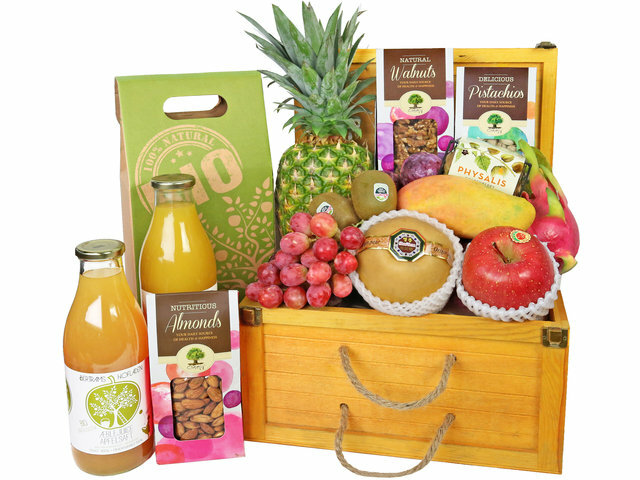 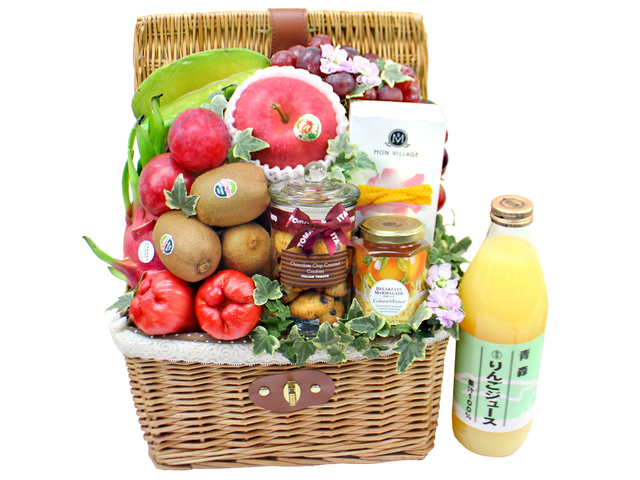 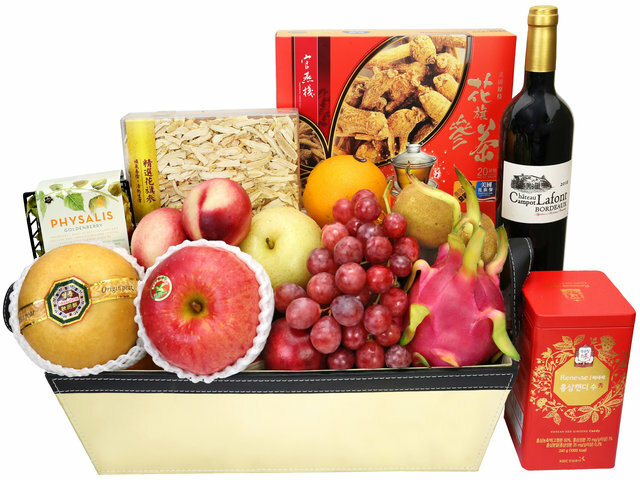 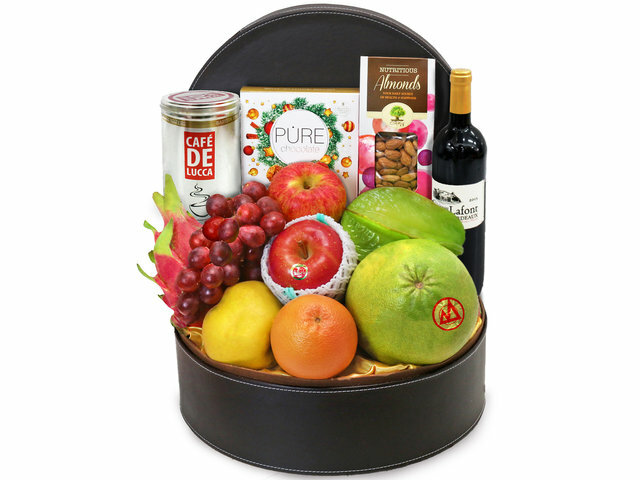 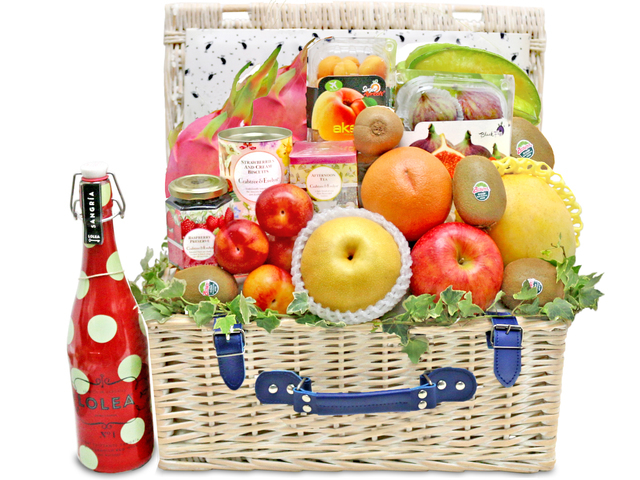 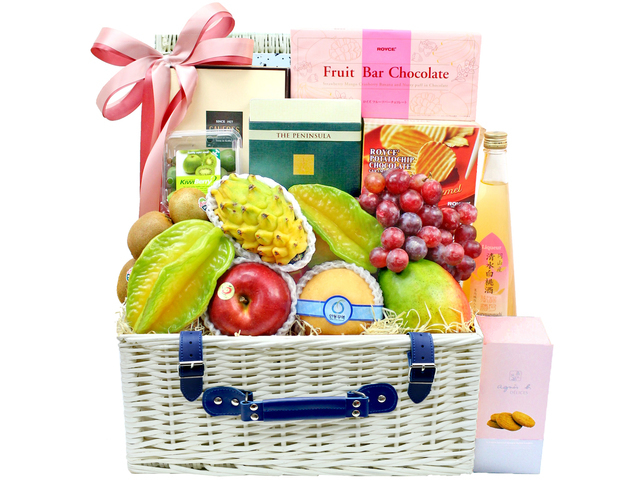 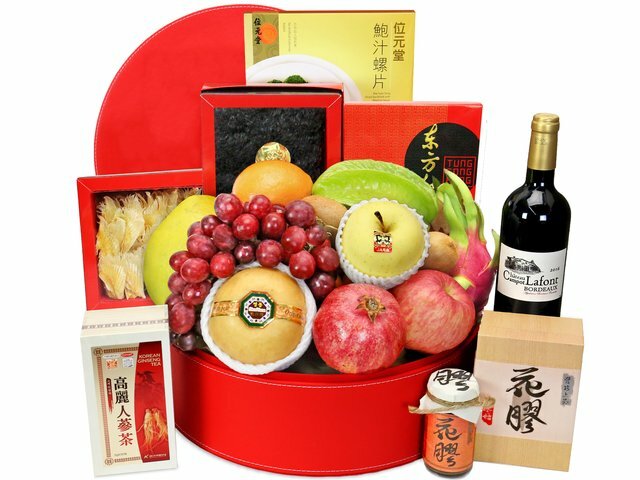 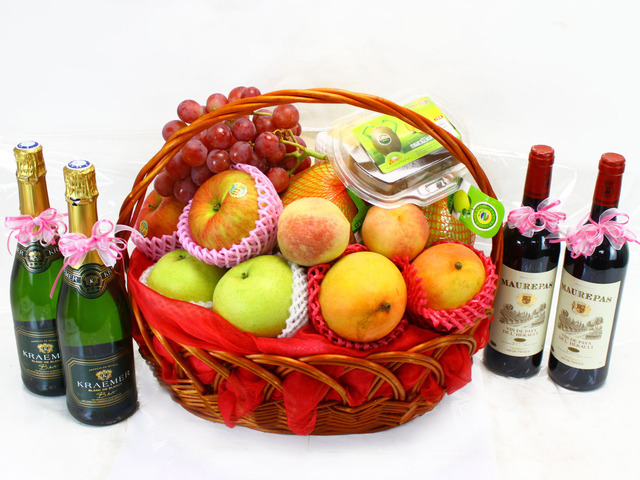 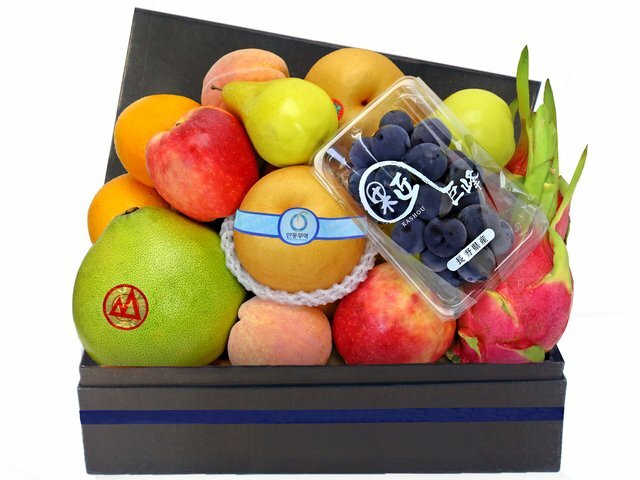 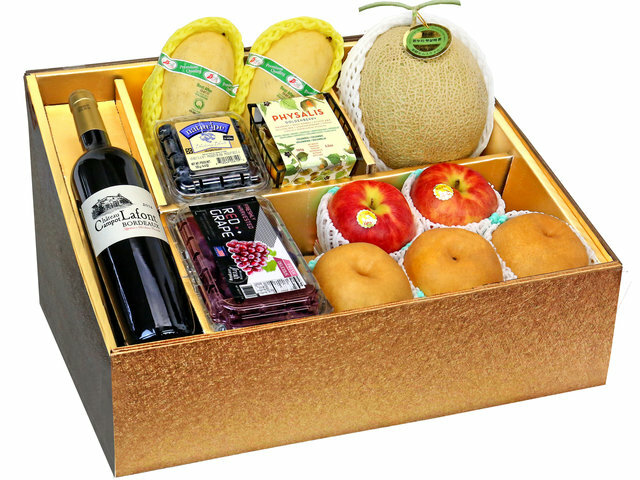 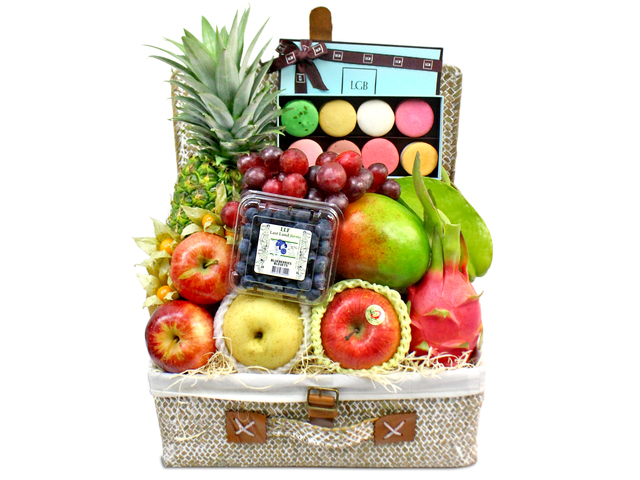 - Whether you are in Hong Kong or Overseas, you can conveniently place online order for fruit basket delivered to Hong Kong, including grand opening, company corporate fruit and flower gift hampers, hospital or clinic get well fruit gift, relocation gift fruit hamper, congratulation gift fruit baskets. 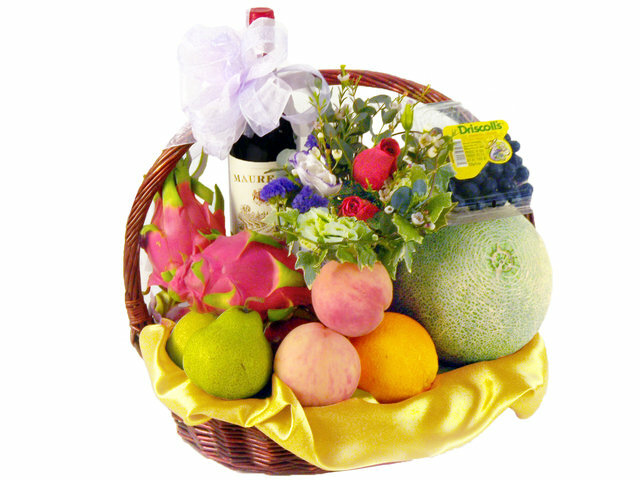 We accept major credit cards, and bank transfers. 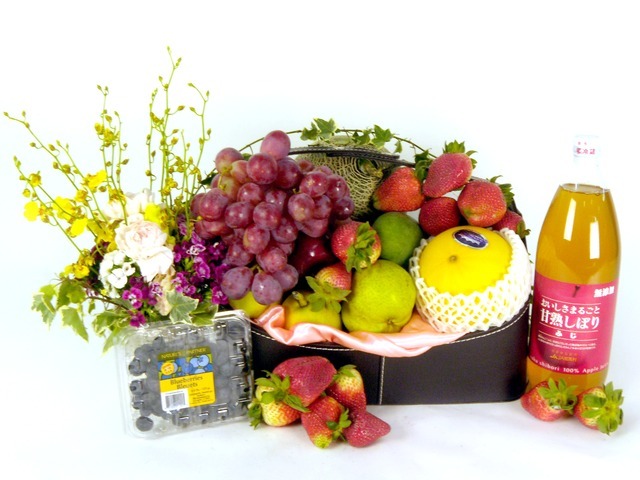 - Hong Kong GiveGift fruit purchasers try to match the fruit content to the online fruit basket gift hampers content as much as possible, but due to seasonality, and what is the freshest in the market at the moment of fruit purchase, fruit content would have variations. 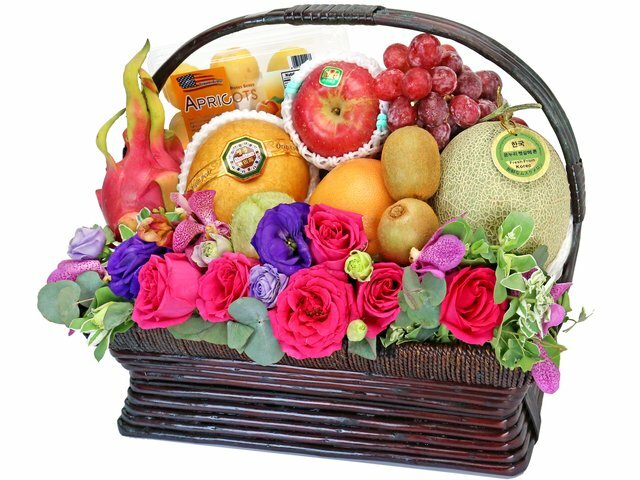 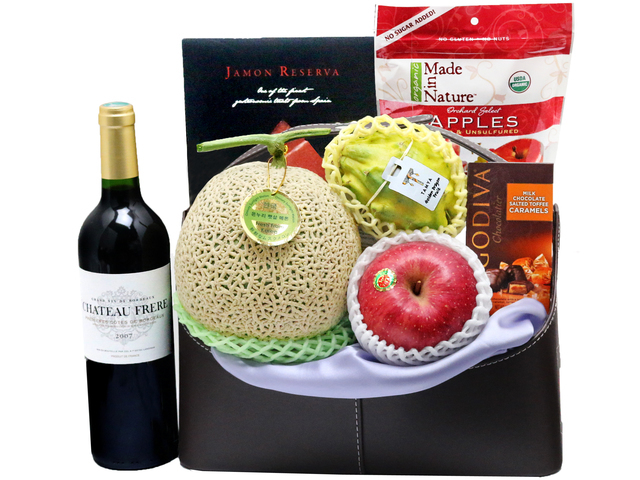 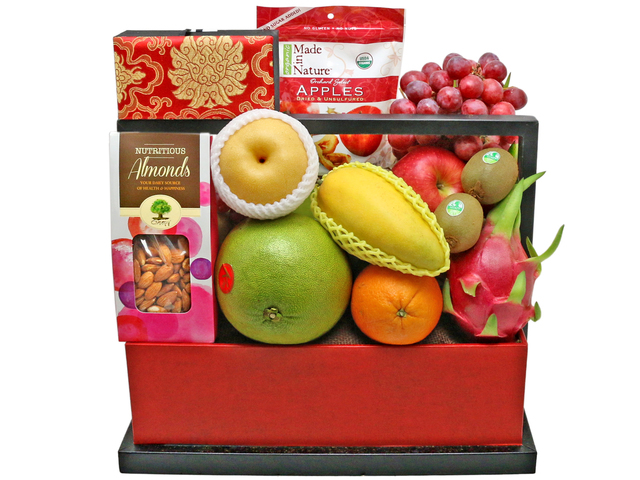 We do guarantee the value of all fruit basket we send to have the same value of that in the online fruit gift basket photo. 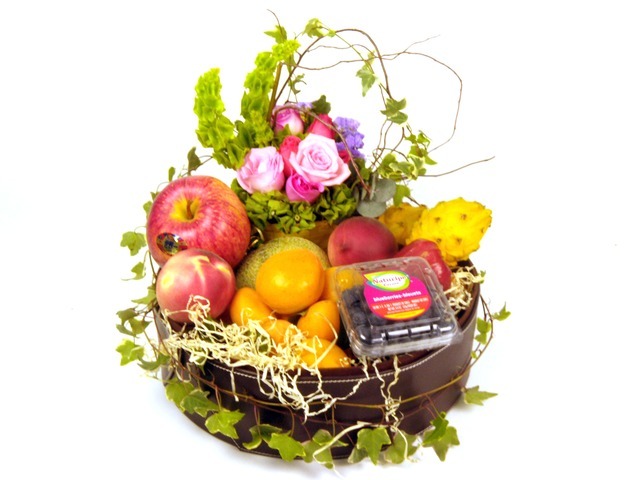 Please notify the changes of the fruit you want when placing order, thanks!